Konnichiwa Sweeties ♥ Is me again! 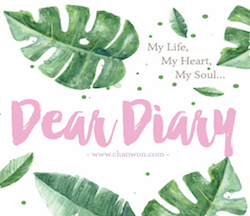 So here's one of the top requested blog post and finally I'm able to share this with all of you. I still can't believe I'm back from this trip! 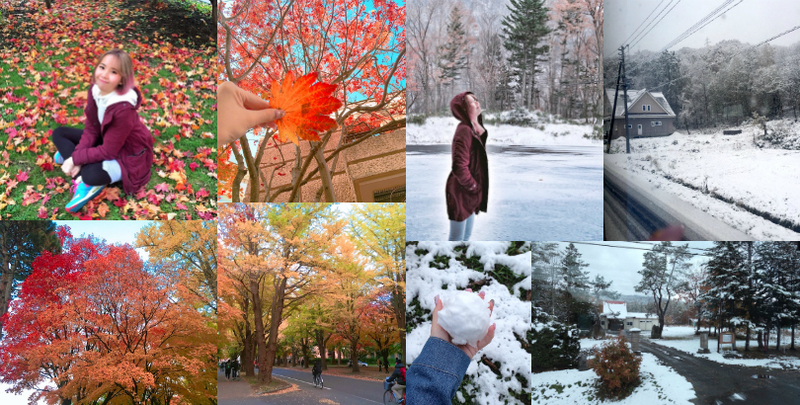 It's one of my top to-visit place and I'm so lucky to be one of the person to witness both autumn and winter during my Hokkaido trip. I'm really really lucky because it's my first time seeing the snow falling from the sky. It's so fluffy and cold! Finally I know what it feels like to cry happy tears. 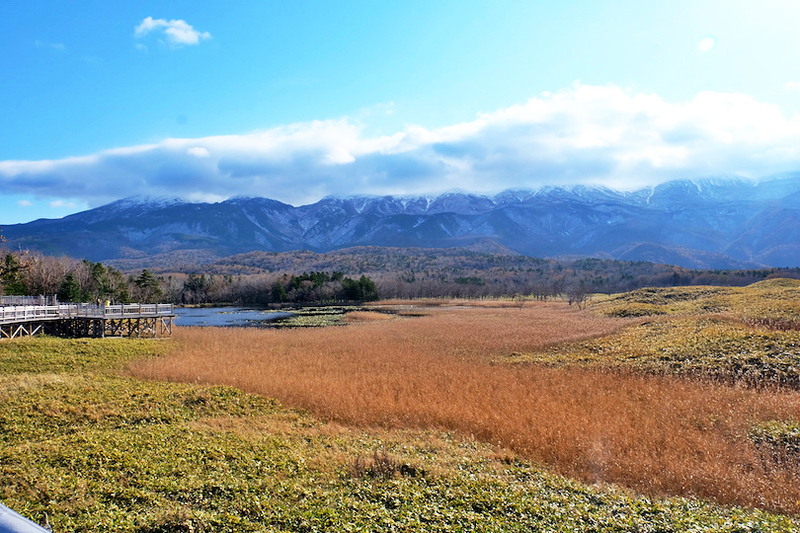 Now it's the story telling time with all beautiful photo I took in Hokkaido. It's one of the most beautiful place I visited within this few years. 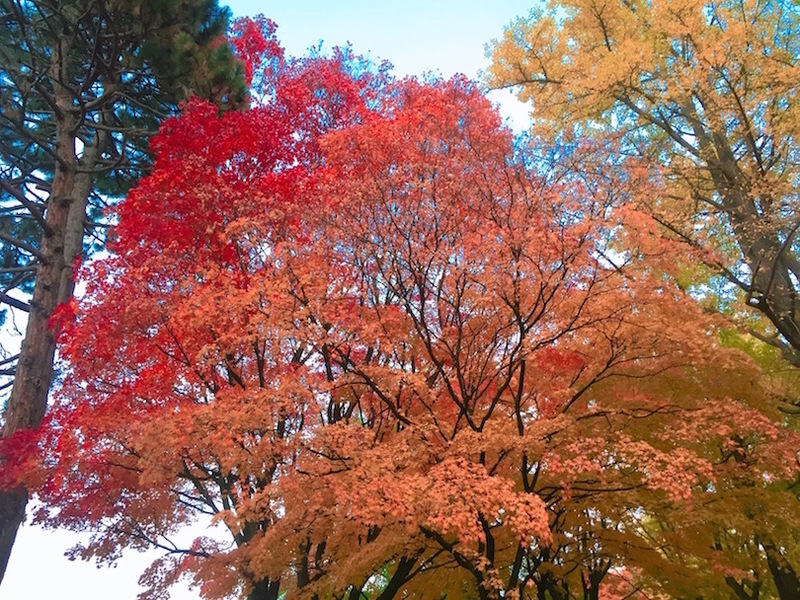 Hokkaido has a beauty unique to each season. Whether a blossom spring season , summer with lots of beautiful flora scenery , autumn or to build your little snowman during the winter season .... it's always so unique to me!! It's the scenery that we can't experience in Malaysia. 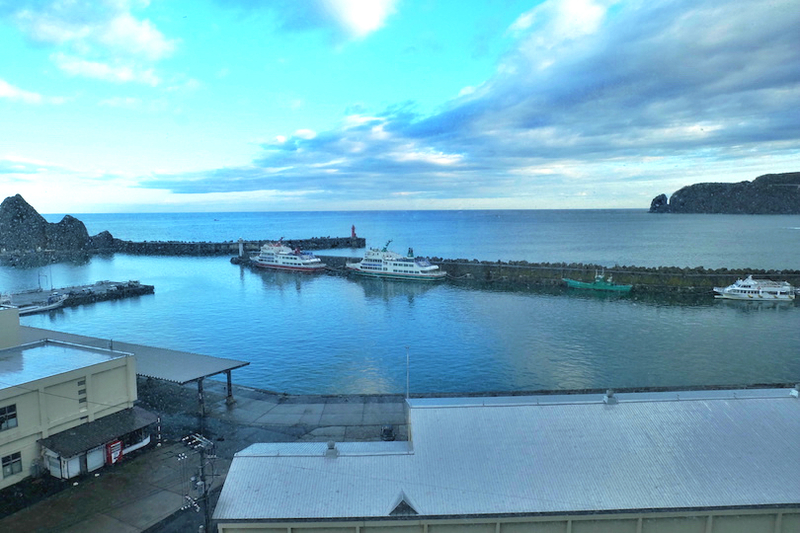 But this time I actually visited the eastern part of Hokkaido instead of mainly traveling within the city of Hokkaido. 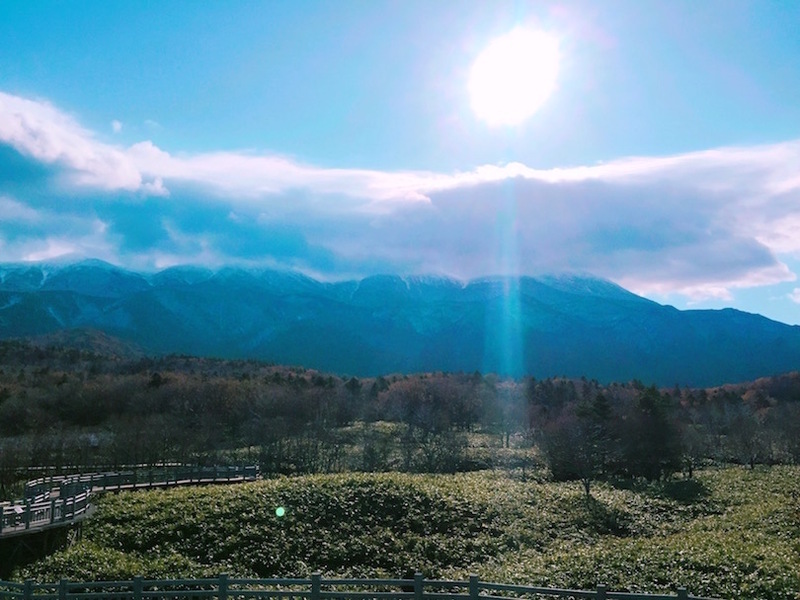 I go far away from the city and travel all the way to the eastern of Hokkaido just to witness all those beautiful scenery with my own eyes. Time to relax my soul and feel the breeze! 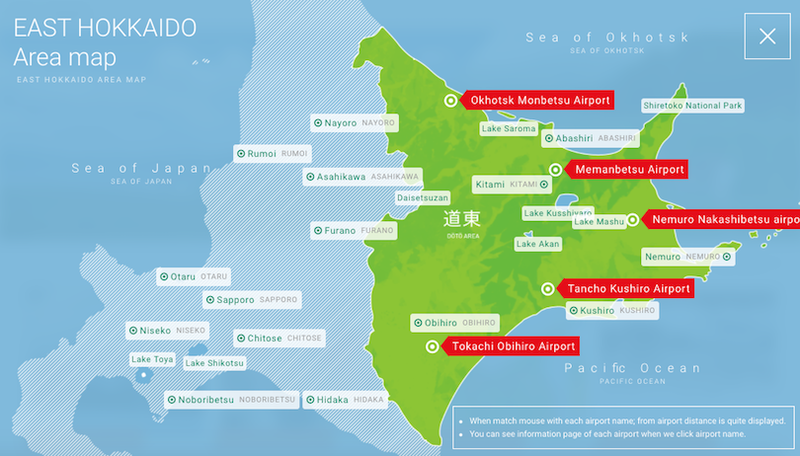 So are you ready for my adventure to Eastern of Hokkaido? Let's get started! 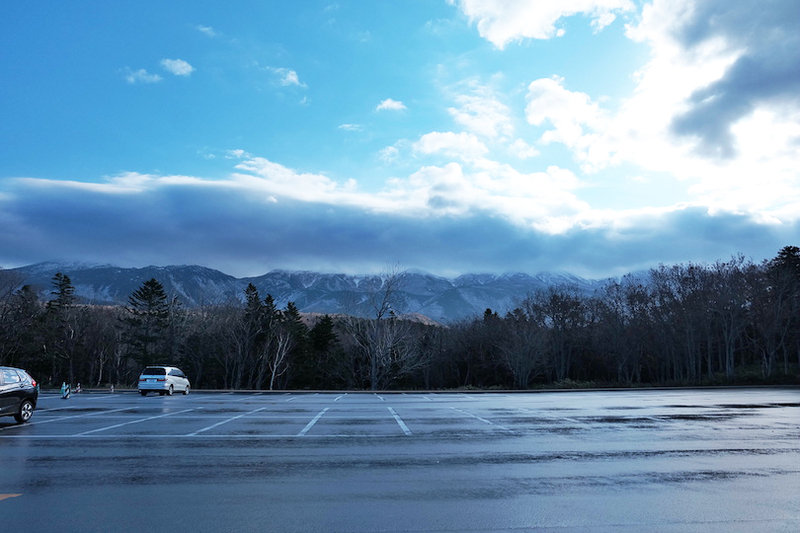 I visited Hokkaido during the end of October (almost beginning of November) and the weather was unexpectedly cold. I actually checked the weather report online before my trip and I brought mostly autumn outfit. lol So ended up I'm stuck with my one and only jacket that keep me warm during my whole trip. I checked online it's almost 12-16 degree during day time and 8-10 degree during night time but ended up during the first few days of my trip it's 2-4 degree everyday! 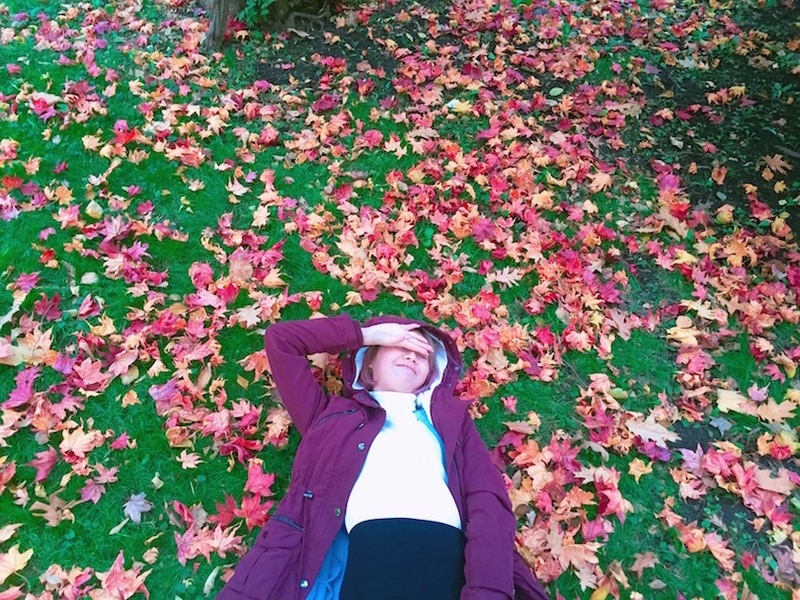 So I came out with a word called 'Wintumn' [a combination of autumn & winter season]. New word added into my blog! | Which season is the best? 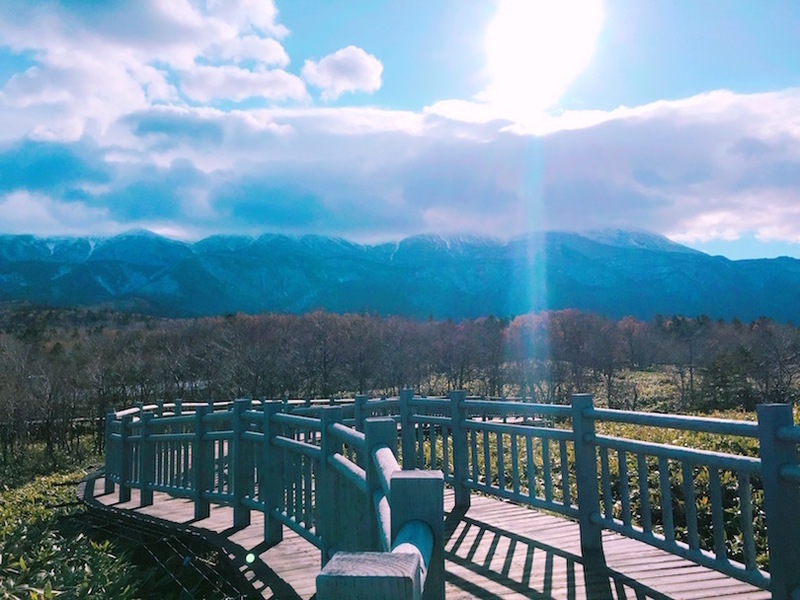 If you ask me which season is the best for me to visit Hokkaido then it's really a hard question for me because honestly, each season has its unique beauty. 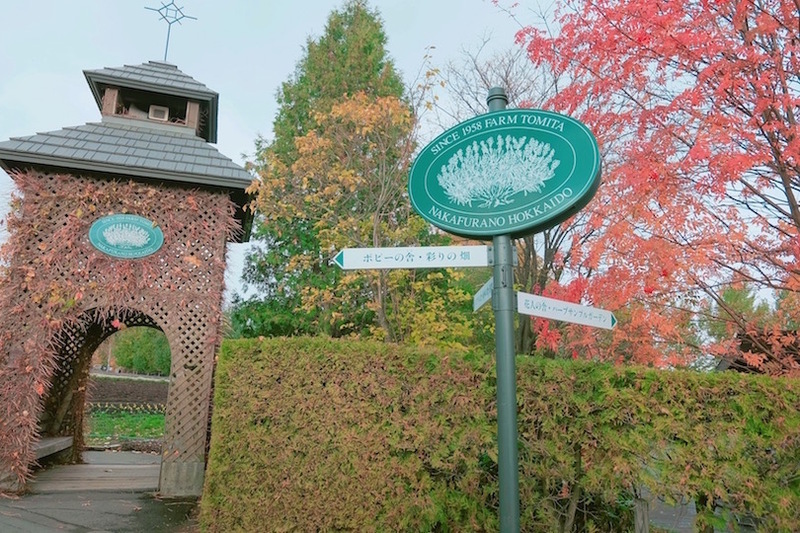 There are lots of famous or must-visit places in Hokkaido. Here's some of the places that you should check out and witness it with your eyes. So far my favourite was Furano & Asahikawa! 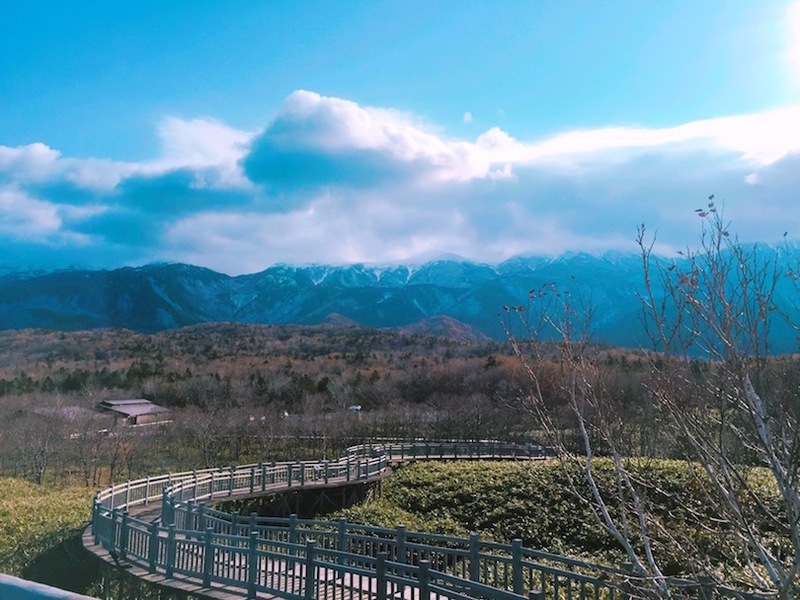 Furano has lots of beautiful and incredible scenery and Asahikawa has the best onsen (hot spring) ever while Sapporo is one of the famous city and place in Hokkaido. Since it's my first time in Hokkaido, I wish to rest my soul , enjoy those beautiful scenery and best if it's not too many 'tourist' and TAAA-DAAA~~ Eastern Hokkaido is the best place for you if you dislike busy city , shopping places and noise tourist places...This is a place where you can have a look with those beautiful scenery and experience this wonderland. So here's the map I marked it with a marker so you probably have an idea on where I covered on this post. This is the places that I went and visited this time. Not much but enough to create a good memories and highlight on my Hokkaido Trip. I'm really satisfied with this trip because it's mainly for sightseeing. Most of the places I went was so peace and without photobomb on my photo. I can take as much photo as I can without the need to find a good angle or whatsoever. I wish I could be back to Hokkaido again next year!!! 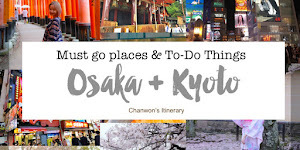 It's really diff from my previous experience when travel to Tokyo , Osaka or Kyoto! Because during this trip, our main transportation wasn't by subway or rent our own car. 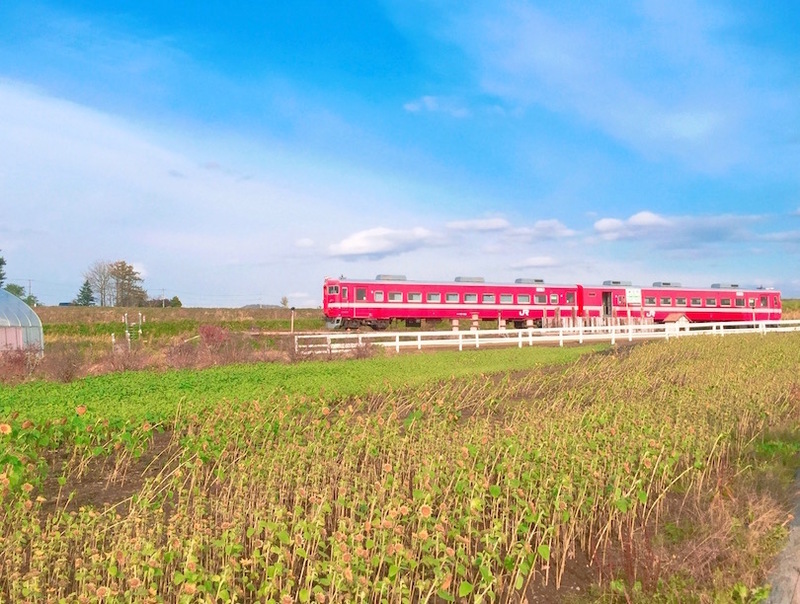 It's by the 'Eastern Hokkaido Sightseeing Bus'. When traveling to eastern Hokkaido just go ahead and choose this bus because much more convenient than everything. 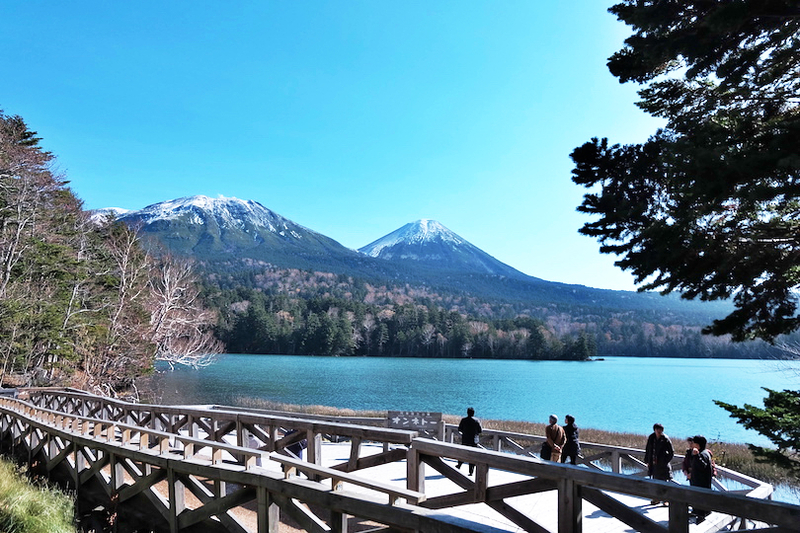 It allows you to go around those famous sightseeing spots in eastern Hokkaido without worries. 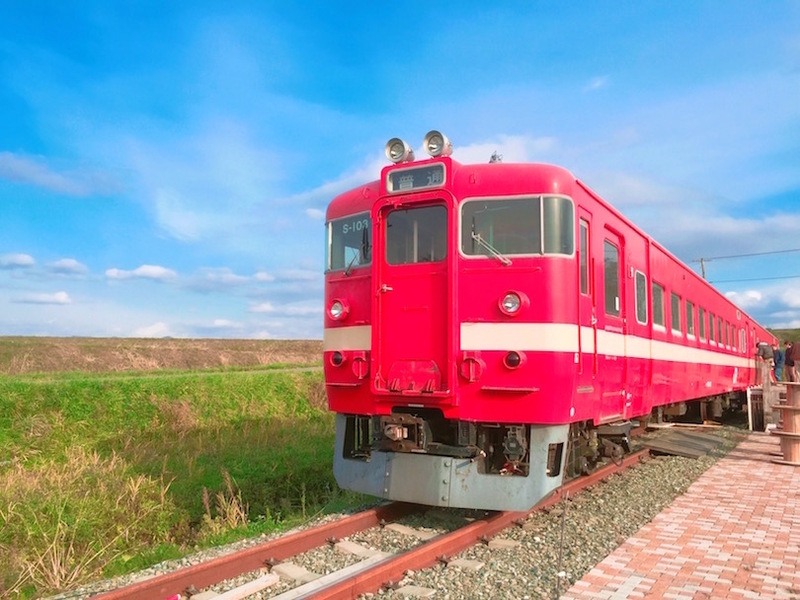 This East Hokkaido Sightseeing Bus offer 2 routes, the north route and south route. 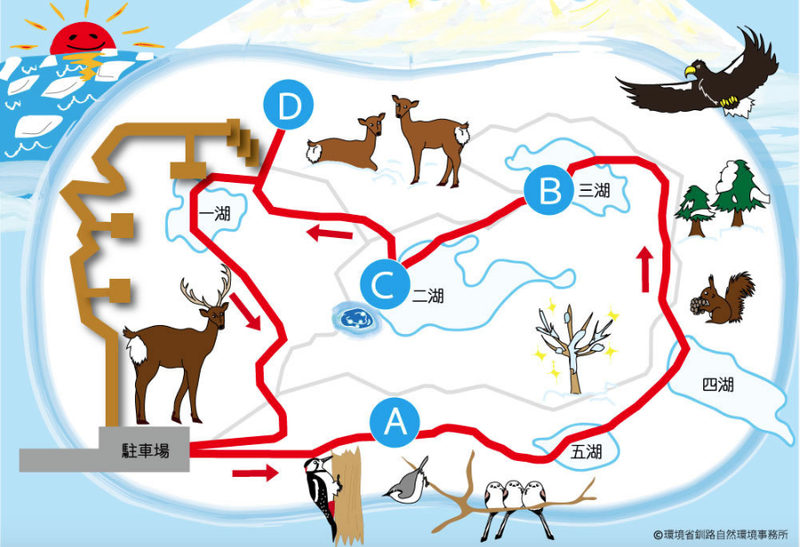 Whichever route you take, you can explore all over eastern Hokkaido in winter, while enjoying Hokkaido’s unique winter activities and events, such as admiring the drift ice. 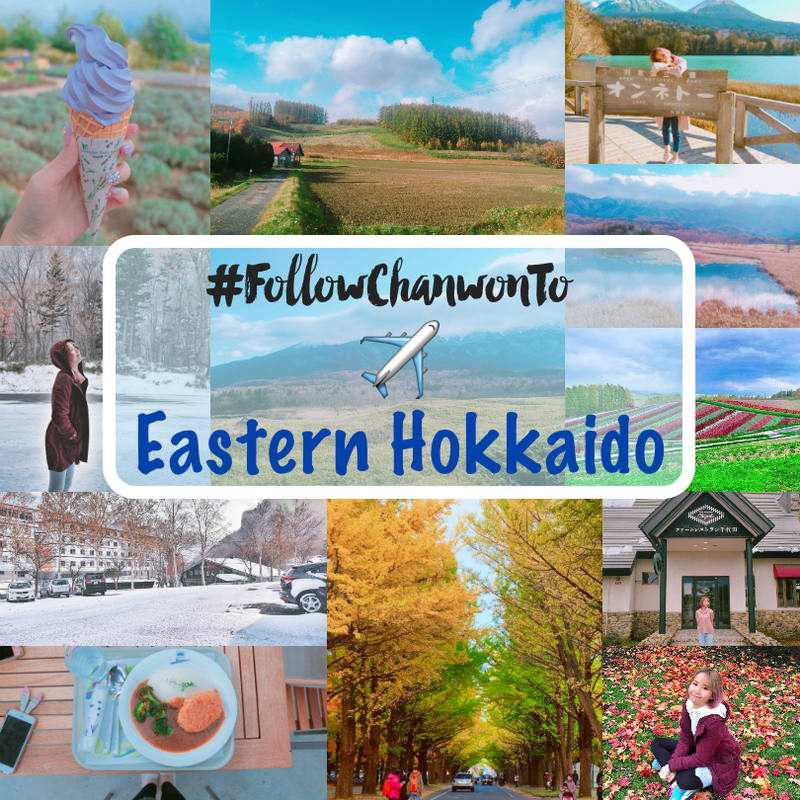 So if you plan for a family trip and wish to explore eastern Hokkaido at your convenience then you can check this website : http://en.visit-eastern-hokkaido.jp Since it's winter now this website showcase all beautiful places and photo / to-go and all informations you need in ENGLISH!! 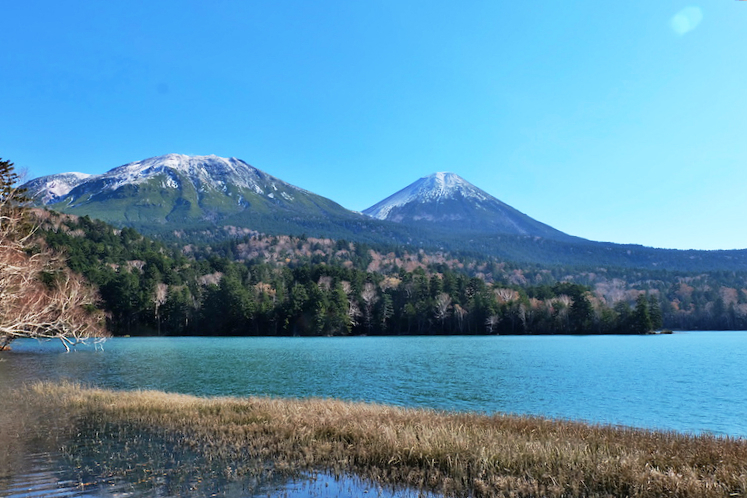 | Why Eastern Hokkaido Sightseeing Bus? 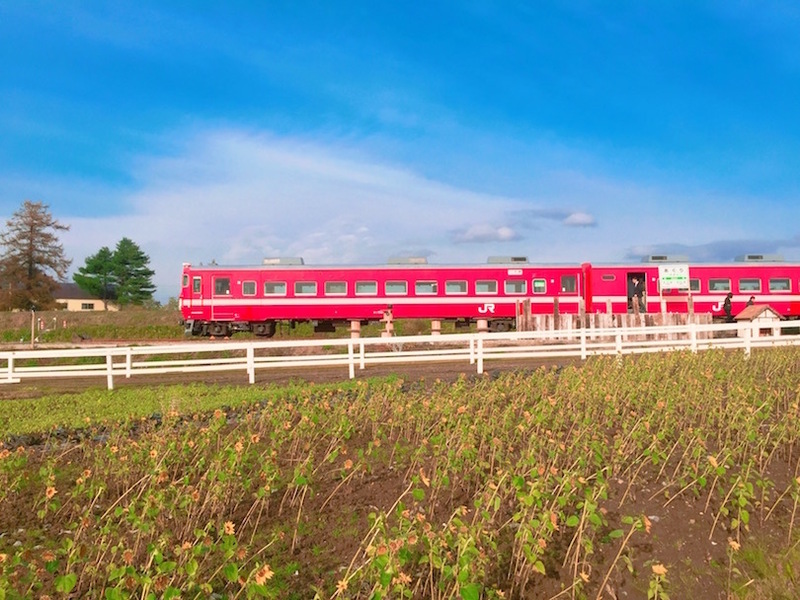 I really recommended for those who wish to travel to the eastern part of Hokkaido with this tour bus. Except it's very easy to access too all famous area , there are FREE WIFI access in the bus where good coverage on most of the places except when the bus go to the place with less coverage then you should keep away your phone and sightseeing it with your eyes. The price is around 2,000 yen - 6,000 yen for each individual adult and it's all depend on the route you choose. The Japanese tour guide also can speak in both Japanese and English so no worries if you can't understand Japanese Language like me. Another thing was, when travel to places that really far from the city and your stay..it's really hard to find toilet in the way to those sightseeing place but no worries when you go by this bus because they stop and rest at the resting area with toilet available throughout the journey. Our Japanese tour guide, Megu San! Our sightseeing bus stop us at this resting place. Spot this hot spring for foot! So cute! You can easily book through the website link I mentioned just now and it's so detail and useful. Remember to bookmark that ya! So I guess I'm done with the intro part of this post and it's time to look at all the beautiful photos and places I went during this trip. 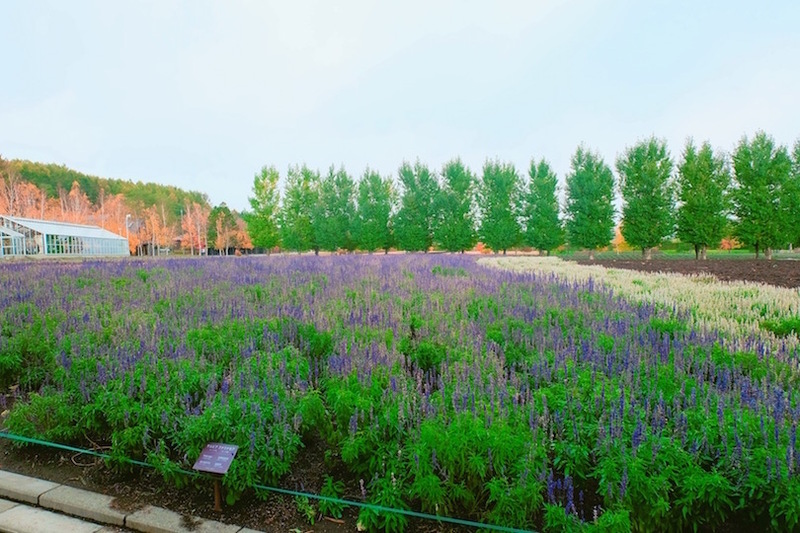 This is one of the famous place to sightseeing the beauty of Lavender. It's so pretty and it's best to come here on July (summer) because it's the best time for lavender. So this is the reason why I can't witness the beautiful lavender farm with my eyes. 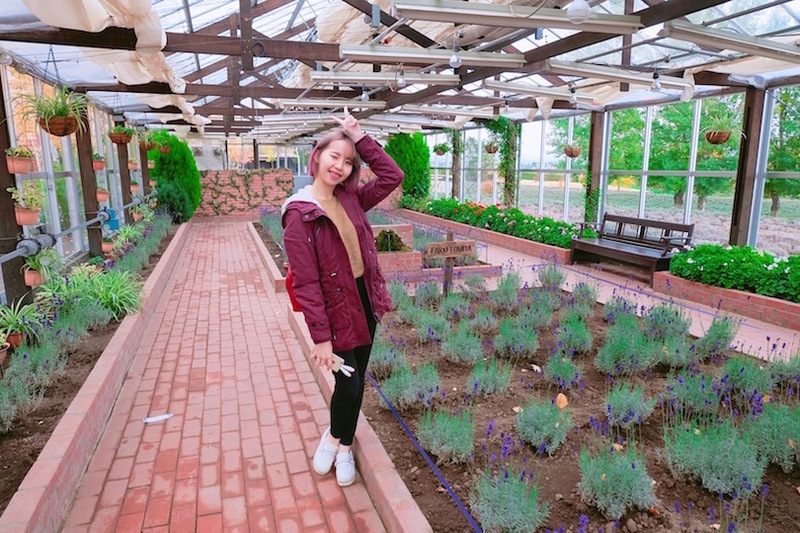 But no worries you still can come to try its famous lavender ice cream and they actually build a greenhouse for visitor that come other than July to look at the lavender. 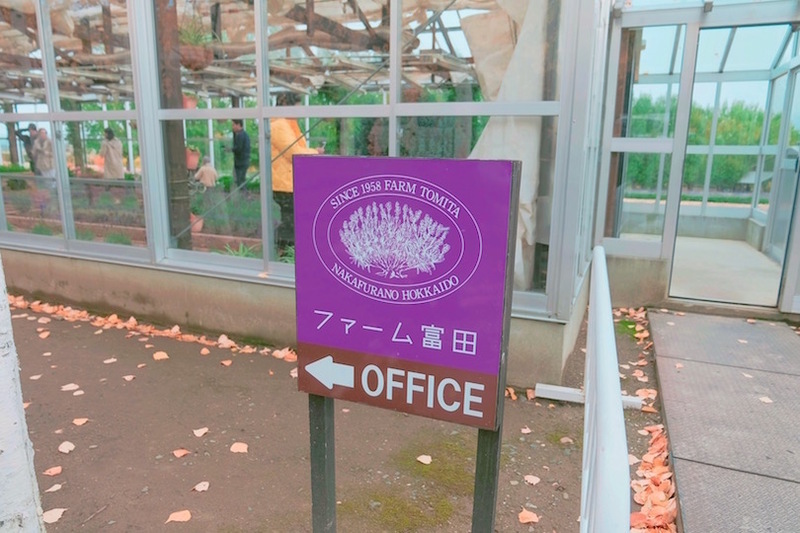 This is the map of tomita farm and normally it's full of colours and lavender in July. So beautiful right!! Imagine you stand on the side with a white lovely long dress or even a selfie with this lavender farm. It will never go wrong with this! So instagram worthy and beautiful! Should come again during summer in Hokkaido. This is what I saw once I enter the farm from the main entrance. 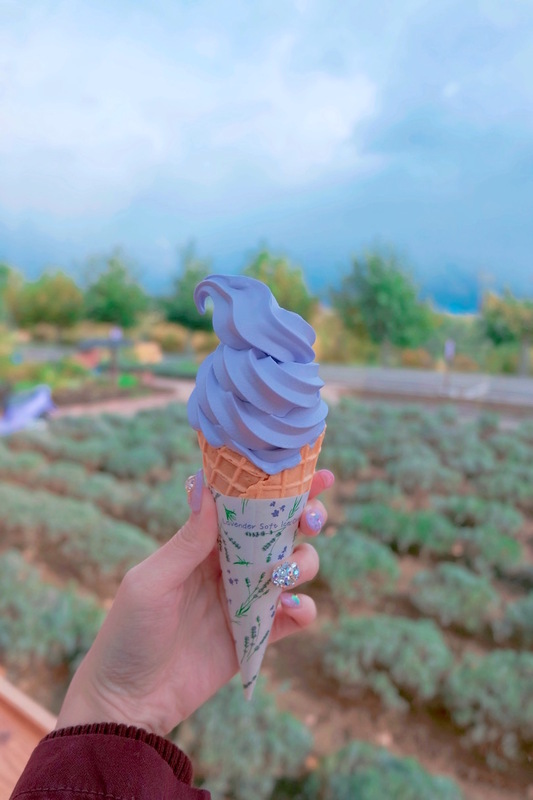 Something look like lavender but this is not the lavender. 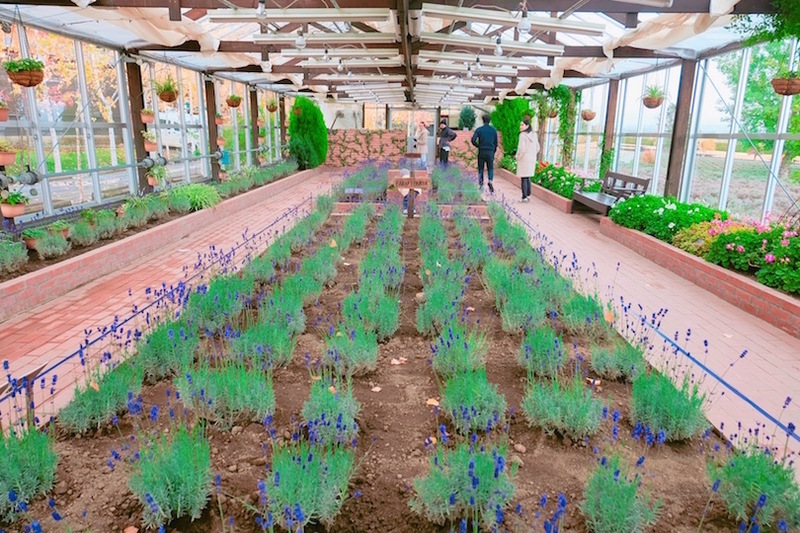 This is the greenhouse for lavender! 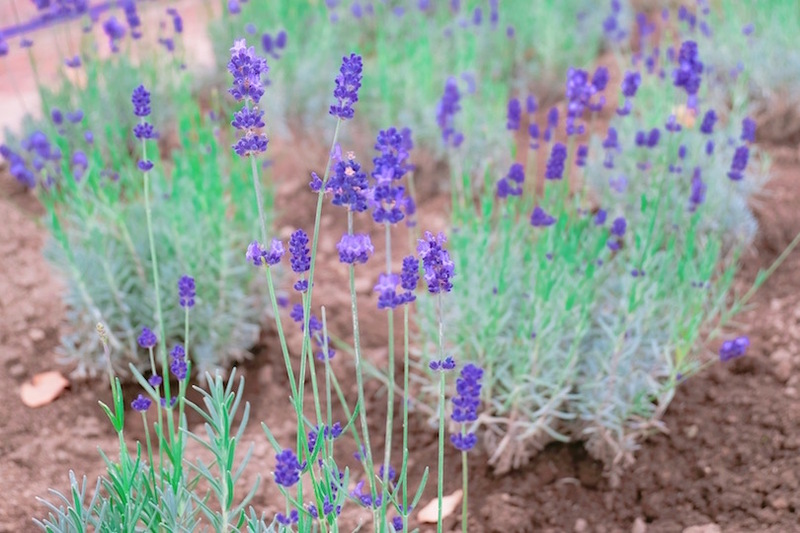 It's the real lavender. I smell it!!! The lavender scent!! First meal in Hokkaido. 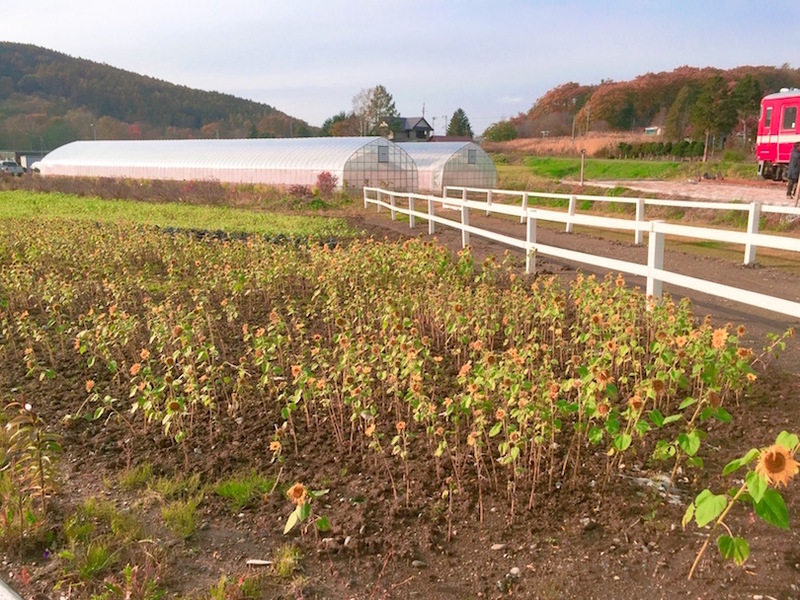 There are a cafe located in this tomita farm and it surrounded by all beautiful scenery with plants and colours. My trip wouldn't be so fun without our translator , Wan San! Thanks for take care of us and everything! Tears with joy!! My very first time seeing and touching the real snow right in front of me. 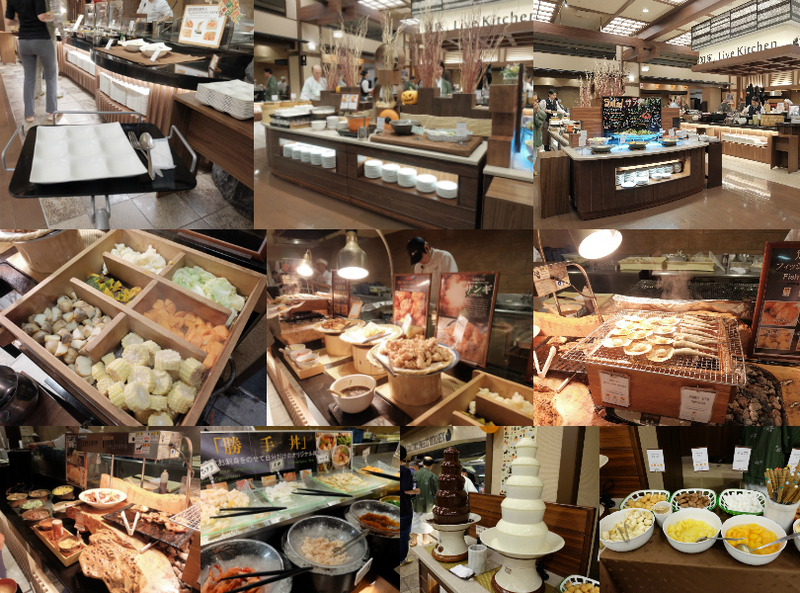 Yeah, it's all happened on the first day during my Hokkaido trip. 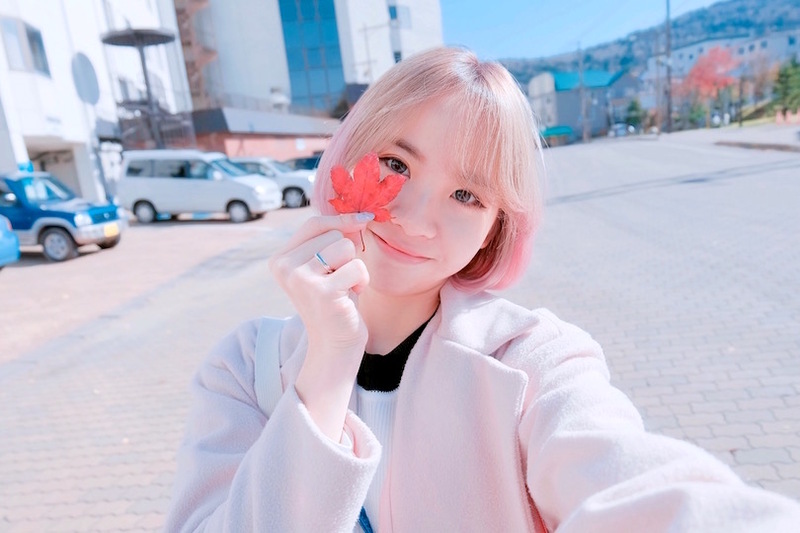 Few months ago when I saw my friends taking photo with snow during winter in Korea, I told myself that maybe I could visit a country in winter so I could touch the real snow and now my dream came true!! So real I want to cry!! 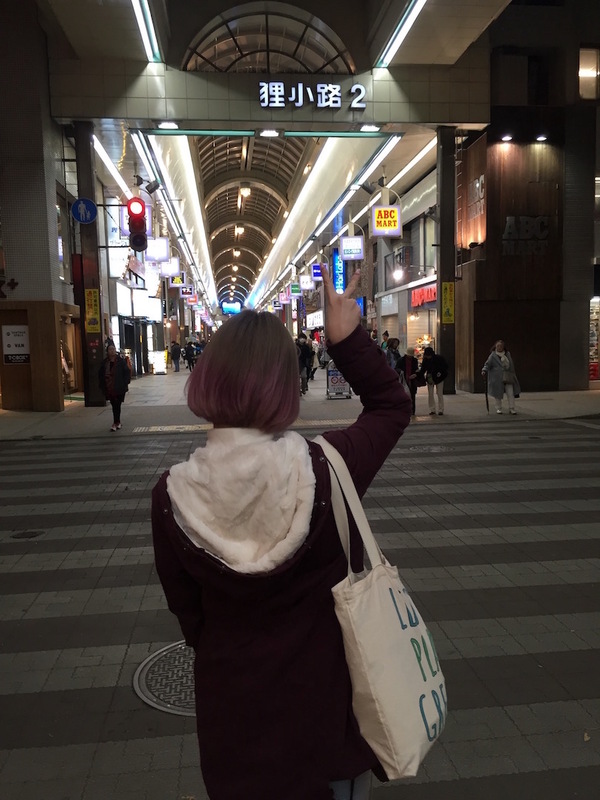 Can't believe my first time is in my favourite country Japan!! This is one of the best stay throughout my whole trip. It's so cozy and comfy! The best thing is, you have a private onsen for you to try. 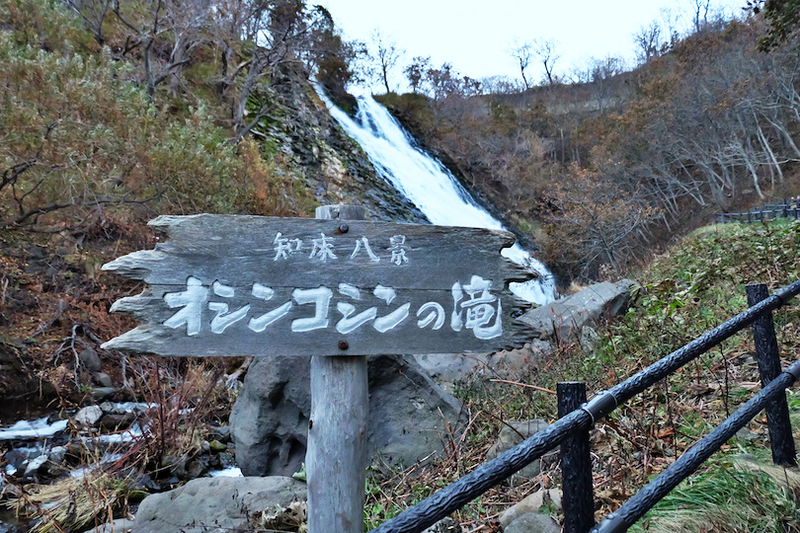 That mean you can try its famous hot spring ANYTIME , how many time also can without going out or going the public hot spring area. OMG!! 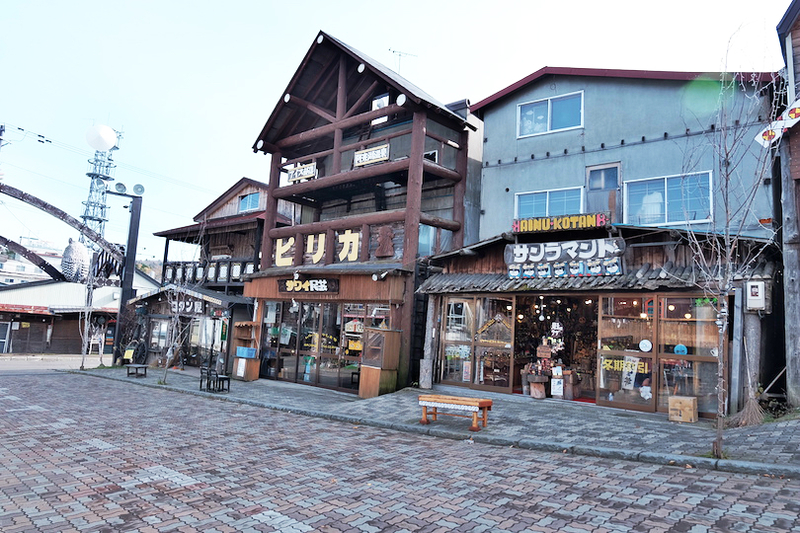 Another thing that I really love is ...so far after tried out so many diff type of onsen this is now my NO.1 beauty onsen. 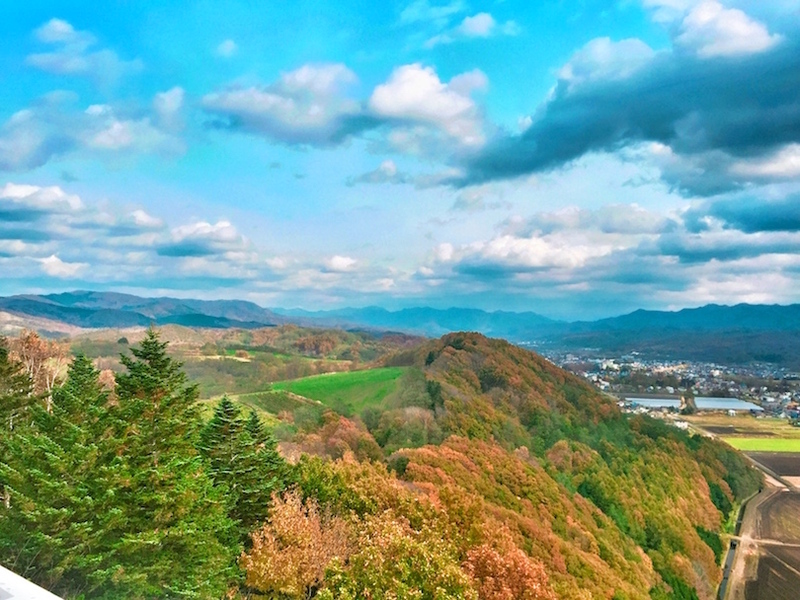 This room has a very nice and unique view from the outdoor private onsen! big love for this! Is time to dive my body into the beauty hot spring! 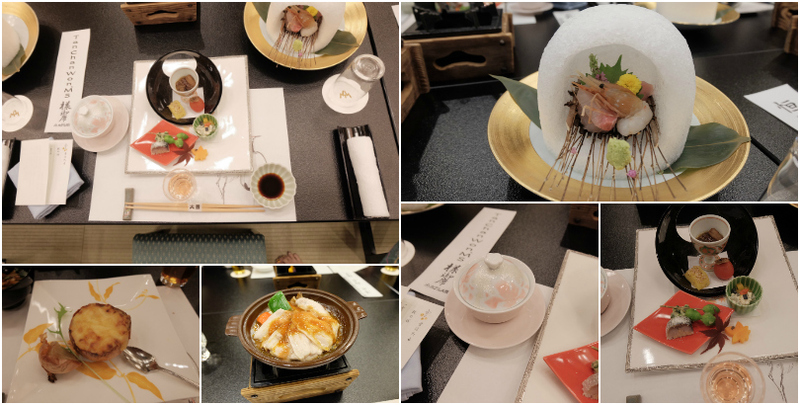 Also one of the best meal I ever had in Hokkaido. Everything was so perfect and I hope I could stay longer at this place. Such a beautiful hotel. Food dining & staying experience are 5 out of 5 stars! Really like it!! 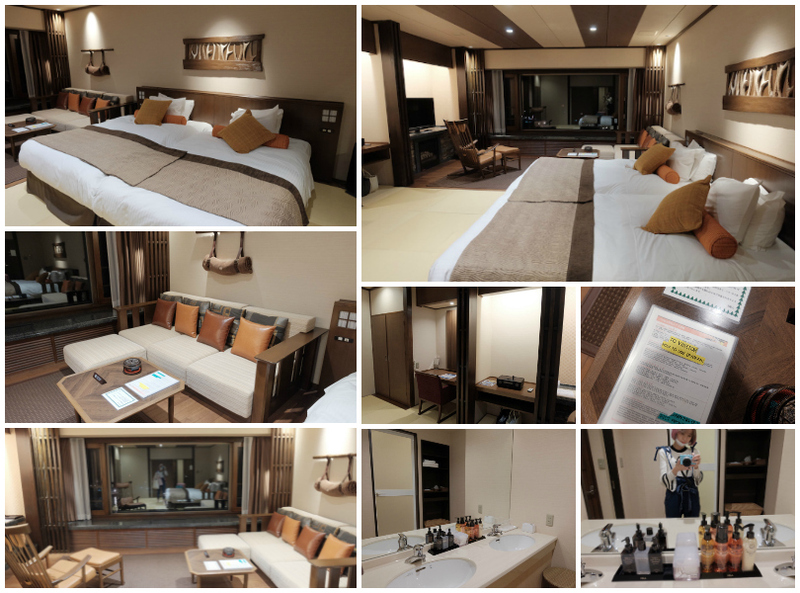 If you ever come to Hokkaido and wish to try a nice hot spring then remember to stay a night @ Takachigawa Hot Spring Stay!! Onsen again at night! HAAHAH Mid night still don't give up! If only I can have this every morning :') Blessed! The next day we leave this place with a happy smile and the whole team and hotel manager actually came out to say bye bye with us! We love and enjoyed our stay!! 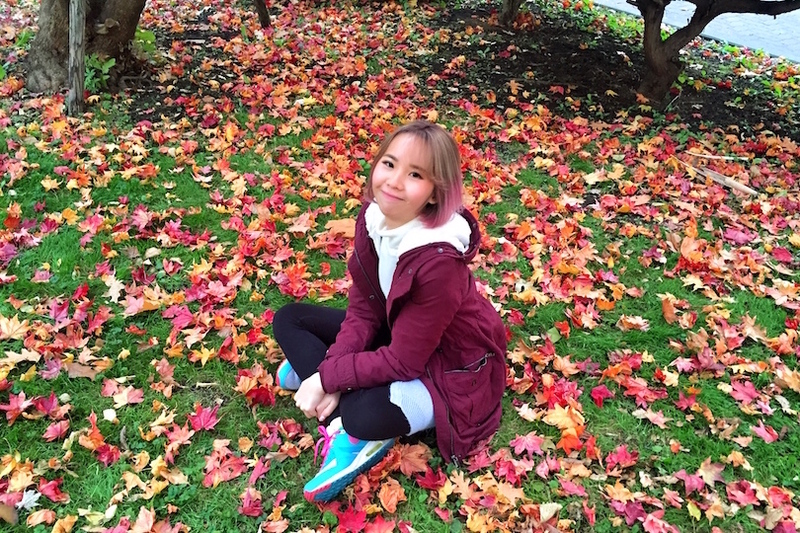 For those who always asked me how I wear and match my outfit during this cold weather...Of course have to thanks to the Heattech to keep me extra warm. I bought everything in Malaysia's Uniqlo. 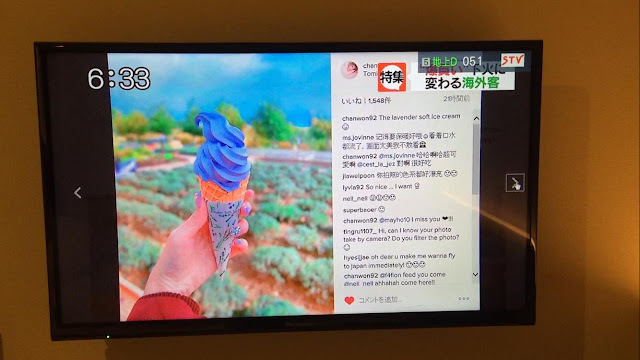 All thanks to the tech in Japan. Most of the time I'm wearing a heat tech top as a inner and with a normal top and a jacket. That's enough for me!! 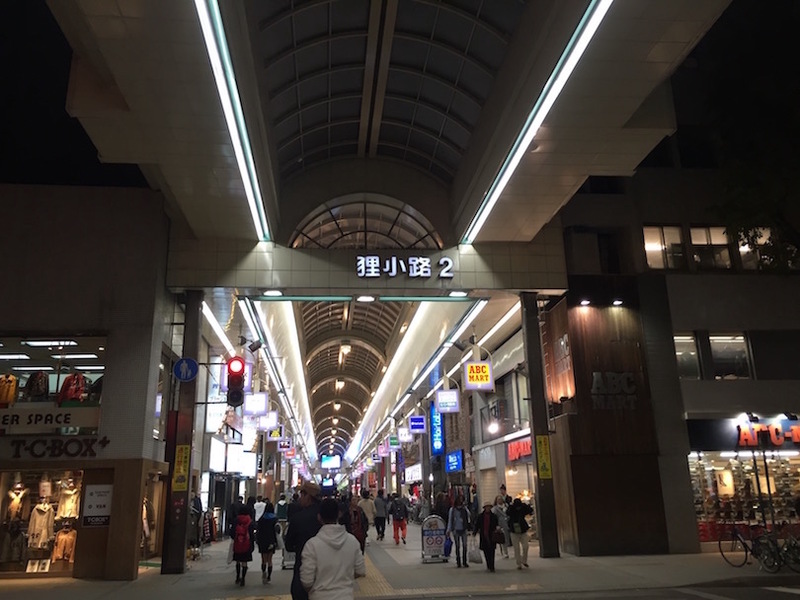 When I'm travel to Japan during Spring, Autumn and Winter season like this I will make sure to bring my heat tech items that I bought from Uniqlo. If you forgot then you can buy at KLIA2 , Malaysia or get it in Japan! Wear the heat tech top and legging as the inner of all outfit. The next morning was a great sunny day. 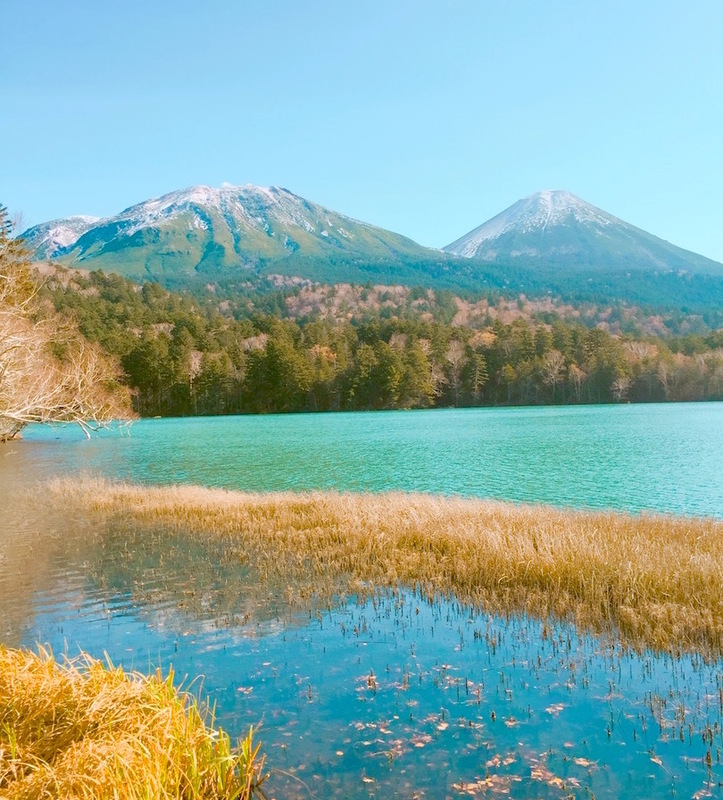 We went to few incredible beautiful lake in Hokkaido. 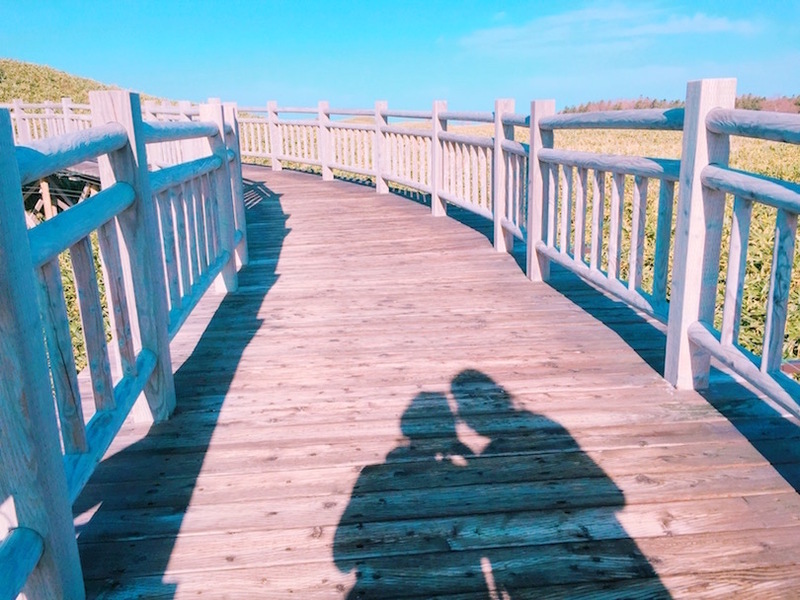 It totally melted my heart and caught my attention when I saw those beautiful scenery just right in front of me. Omg I can't express how stunning of this view but you can look at this by yourself. Isn't this beautiful?? The stunning view, nature beauty and the colour gradient on the lake itself. So freaking nice!!! Now, just let the photo do the talking. View from the road side. Photo taken by my iPhone with filter. The Lake Onneto is famous with its stunning view and normally if you go for such places like this, it normally takes 1-2 hours to reach. Then after enjoying the stunning view you might leave while this Lake Akan is slightly diff. There are lots of activities around this lake. Not just for sightseeing only. You can get to the boat and it will bring you around Lake Akan and there are other interesting activities around too. We didn't get on the boat because we have limited time and only 30 mins left to walk around. So sad that we don't have extra time for other activities. 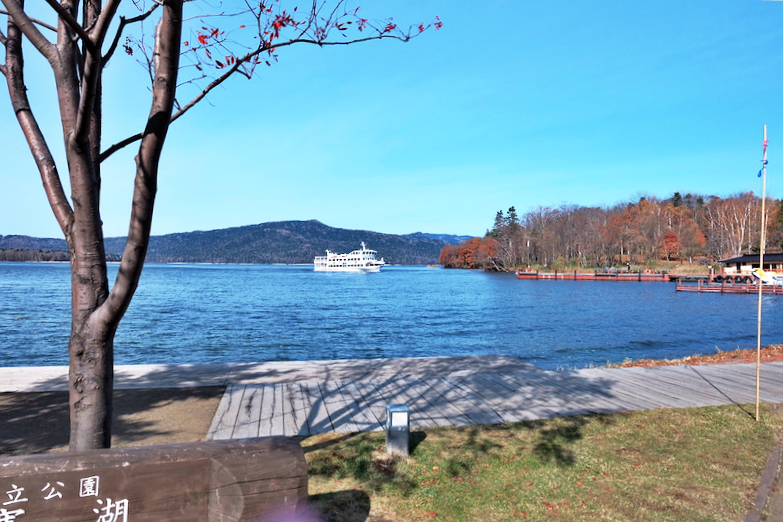 Because I hear our tour guide introduce that from the view of the boat you can see those beautiful autumn tree around the mountain and if it's not too cold then you can really enjoy walking around this area. 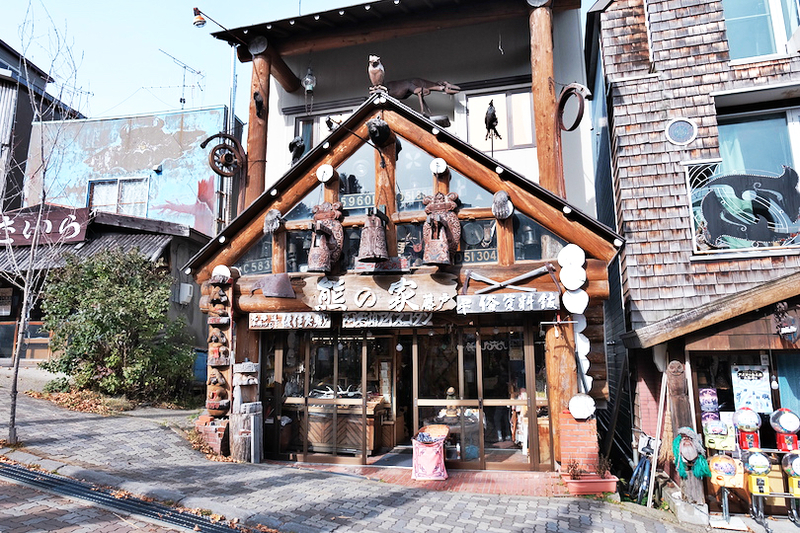 This area also full of old-vintage looking restaurant and you can find quite a lot of traditional restaurant too. Very beautiful and vintage looking! Photo taken with my iPhone! 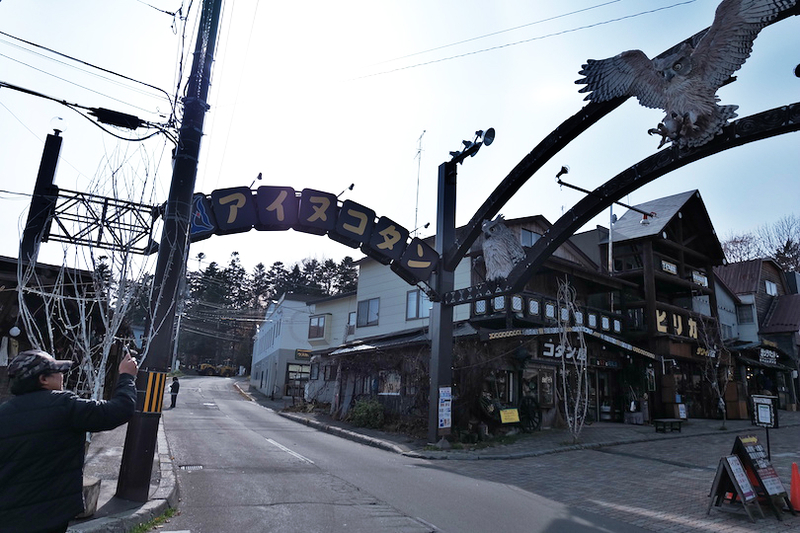 End up I just walk around and decided to visit the Ainu little village /town located in this area! 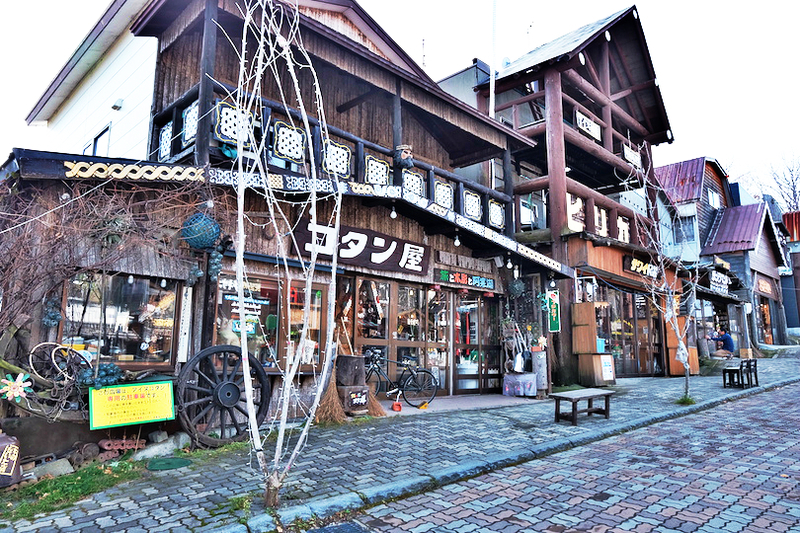 If you want to experience about Ainu culture then this is the small village for you. So what is Ainu? The Ainu are an indigenous people of northern Japan. 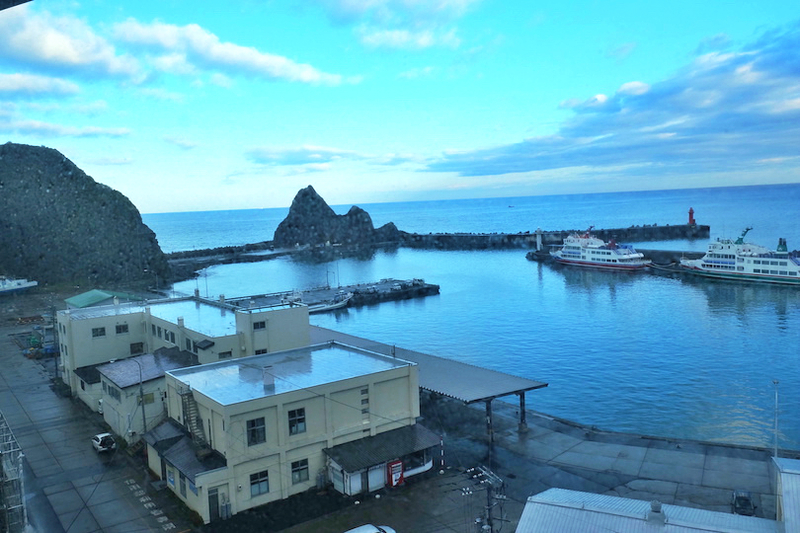 The remaining descendants live mainly in Hokkaido (in an area that used to be called Ezoga-shima), Sakhalin, the Kurile Islands, and the northeastern part of Honshu Island. "Ainu" means "human" in the original Ainu language. 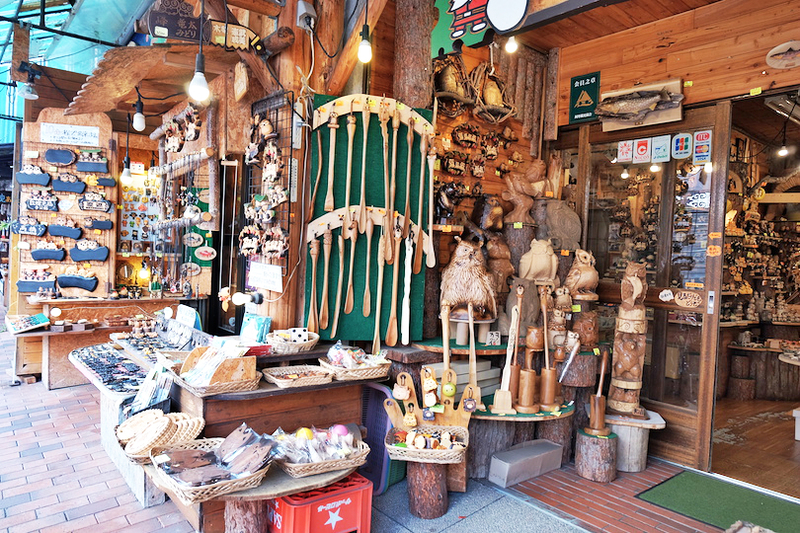 This Ainu Kotan located just around the Lake Akan and around this small village there are lots of local crafts. 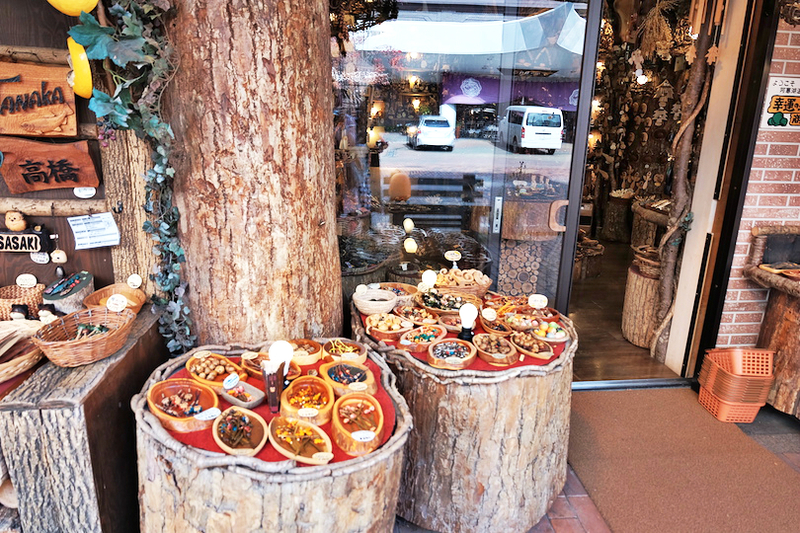 It's all hand craft item by Ainu. 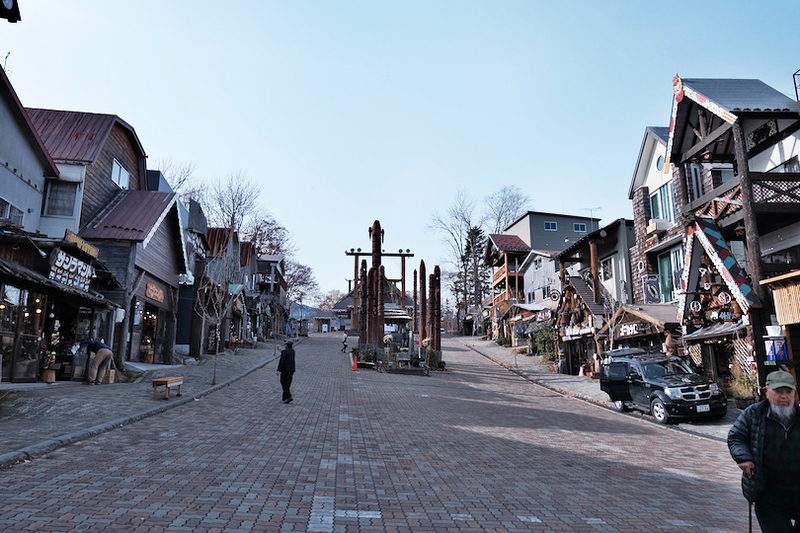 Lots of crafts made out of wood on this street and the street has a display of totem poles. 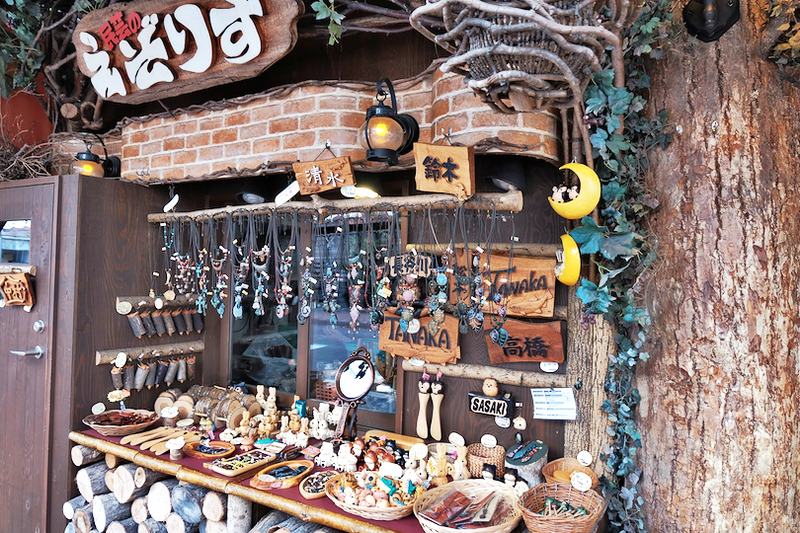 It's quite an interesting village but if you are not interested on hand craft wood items then you might not interested on those creation except you just want to pass by here and take a look. But the whole village look like it came from a fairy tale story. Let me show you!! 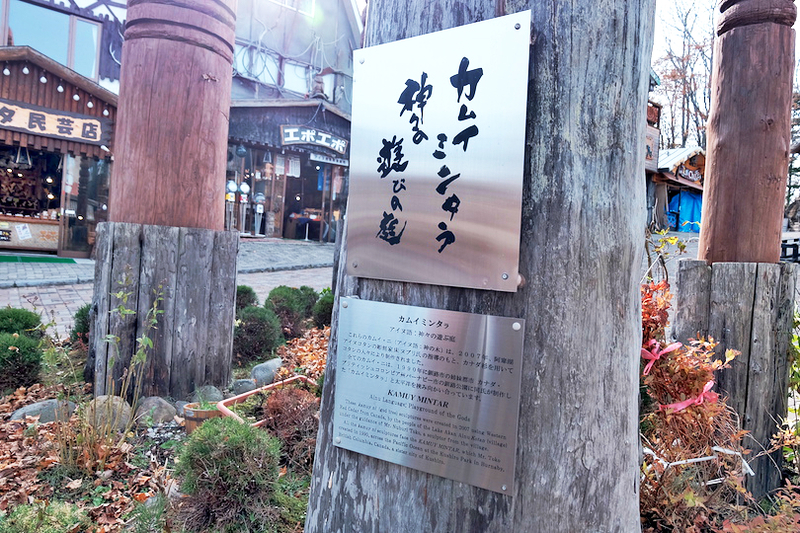 Sometime there will be a traditional ainu performance around here. The Ainu believe in the interaction of nature, humans and the gods, and they utilize the nature around them for clothing, food and housing, and never take a life unnecessarily. Fish, bear meat and wild plants are gathered and stored in preparation for winter and times of famine. 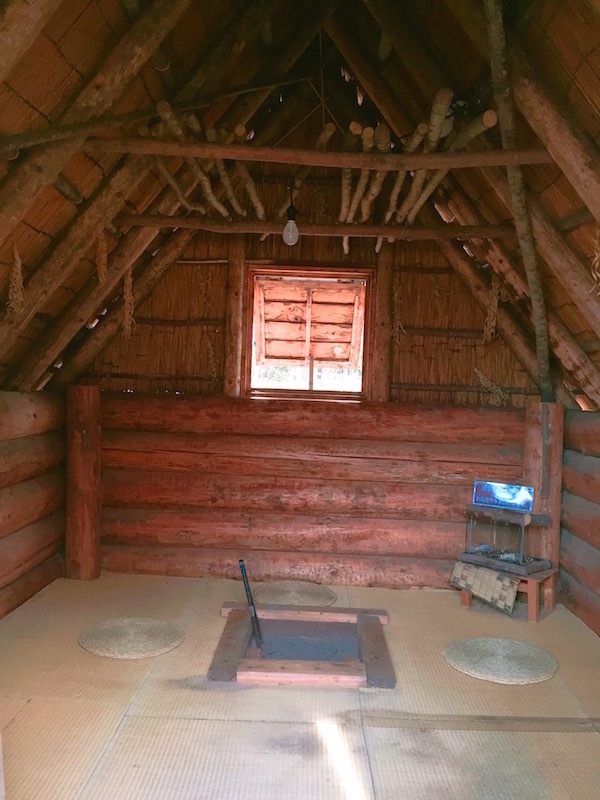 Ainu House in the past. So little and small! 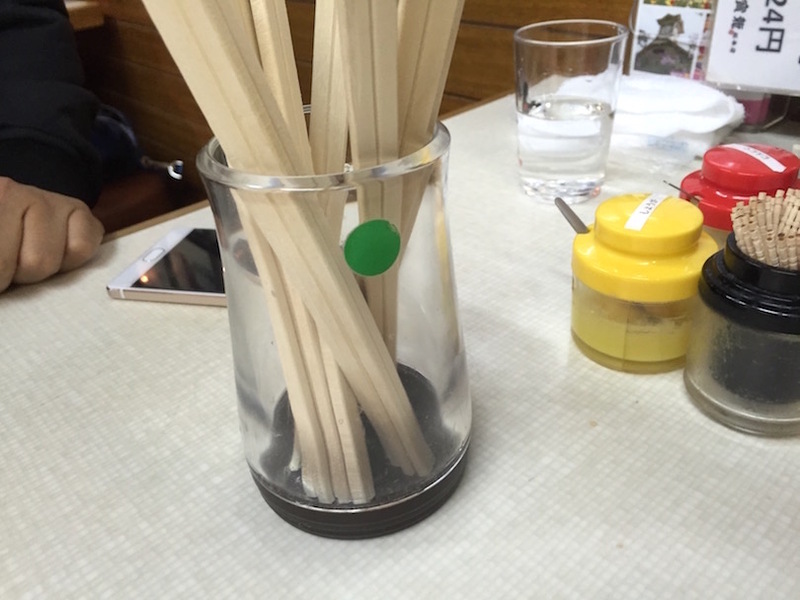 After that we just back to the meeting point and I decided to order Soba as my lunch! 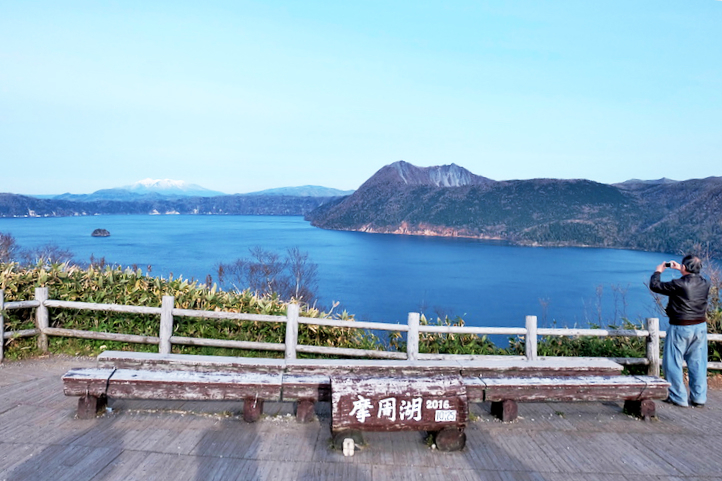 Next, Lake Mashū (摩周湖 Mashū-ko) is a endorheic crater lake formed in the caldera of a potentially active volcano. 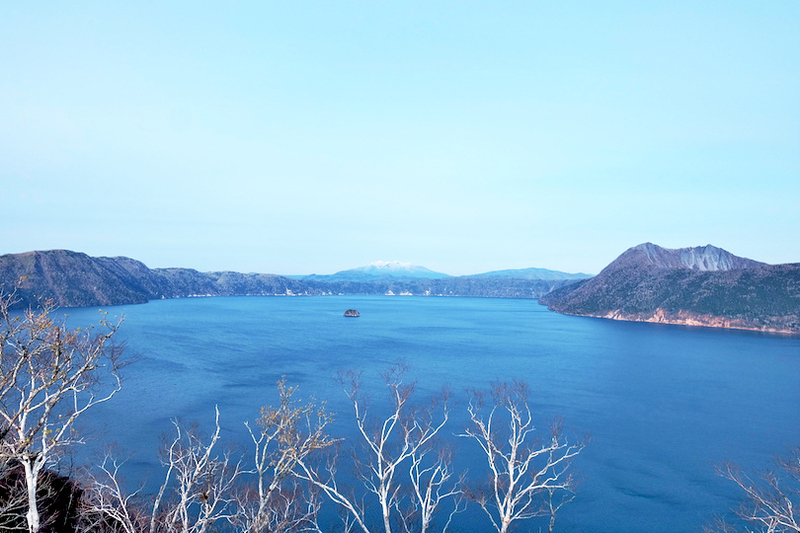 This lake has been called the clearest lake in the world and is considered by many to be Japan's most beautiful lake. 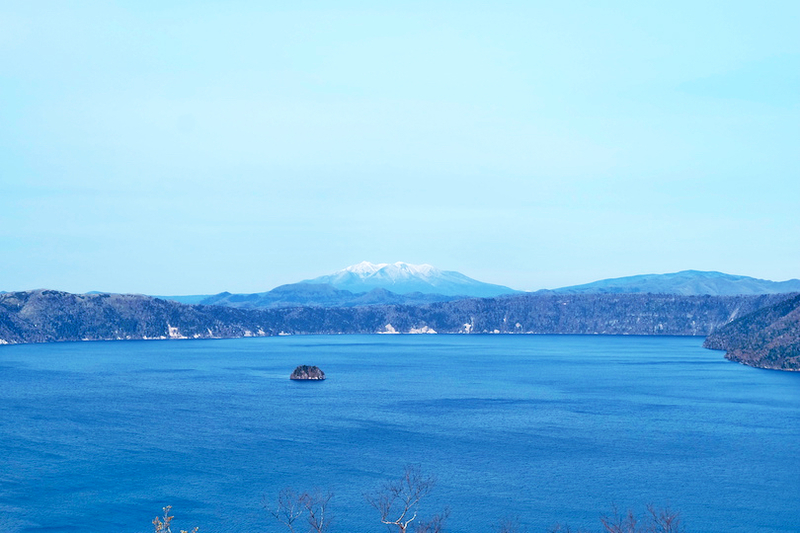 Lake Mashu is also one of the country's deepest lakes and although it is usually appreciated for its clear blue water. 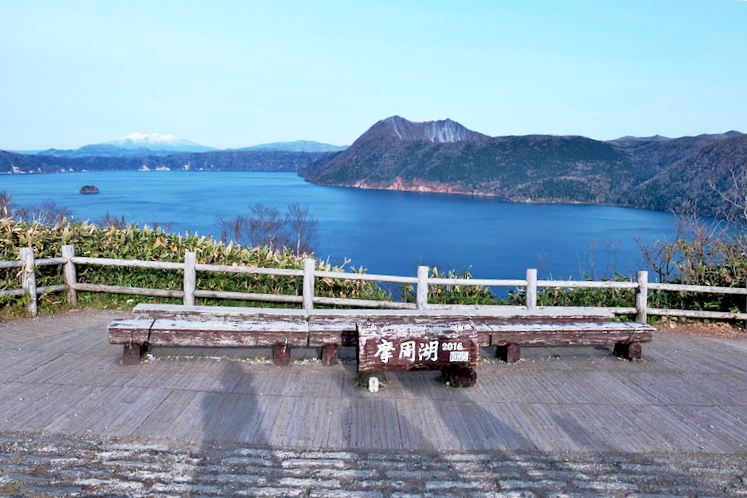 You are not allowed to go down to the lake but there are two observation decks positioned around the rim of the caldera from where you can enjoy views. I'm here at the Observation Deck 1! Look at the clear lake!! The blue is sooooooooo pretty! View from the observation desk. The mini one in the middle of the lake is way too cute! Like a baby! Zoom-ed in with my Fuji XA2 Camera! They told me it look more pretty when during winter! So I google it for you guys and look! OMG SO FREAKING NICE!! 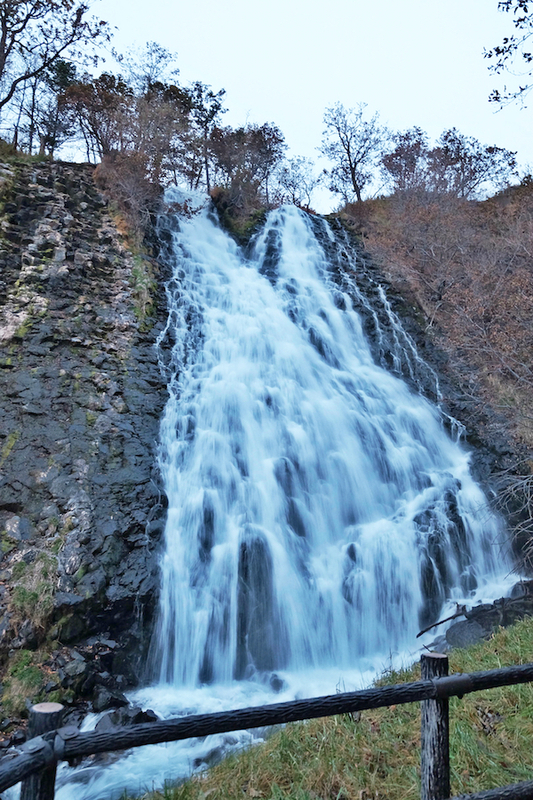 Also known as Twin Beauties Waterfall, because the waterfall splits into two parts about halfway down.You can experience the dramatic energy of the waterfall by walking up the stairs that lead about halfway up the falls. From the observatory at the top of the waterfall is incredible! 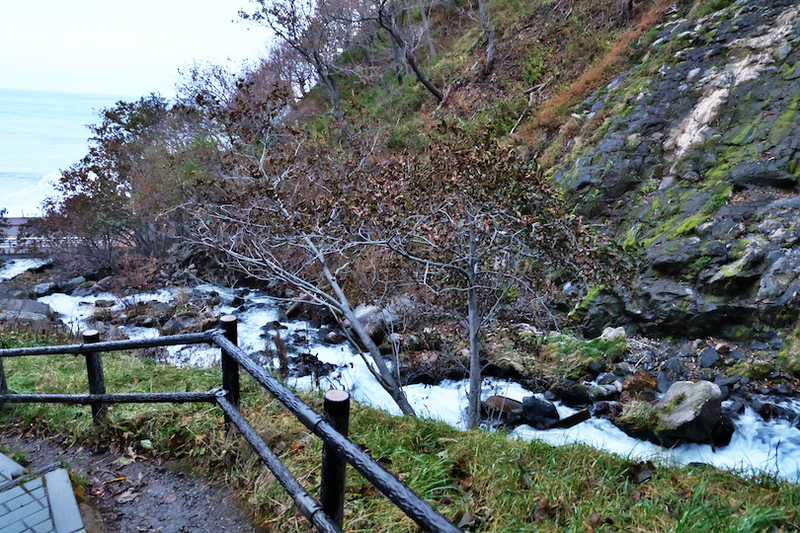 From there, you can also see views of the Sea of Okhotsk and the Shiretoko mountain range. 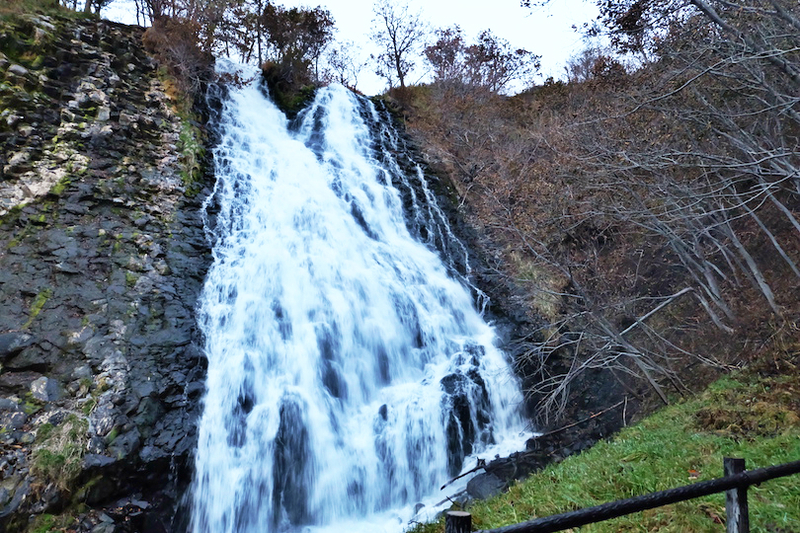 Selected as one of the Top 100 Waterfalls of Japan, it is also one of the Shiretoko Hakkei (8 Picturesque Spots of Shiretoko) as a site that you should not miss. It is especially dramatic in winter when the drift ice covers the sea and it is white as far as the eye can see. 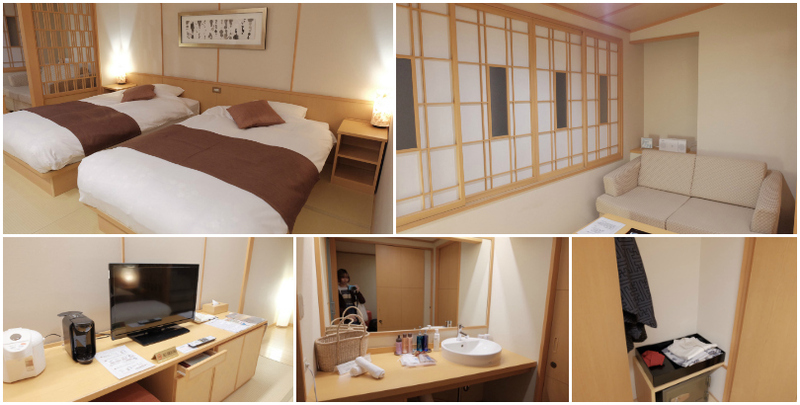 Second stay is really diff from the first stay at the Tokachigawa Hot Spring Stay. This is the time where i decided to join the public onsen instead because no private hot spring on our second stay. However, this stay has its incredible view from the window. View from our room's window! Also at the entrance of the hotel, there are a special booth that caught my attention. 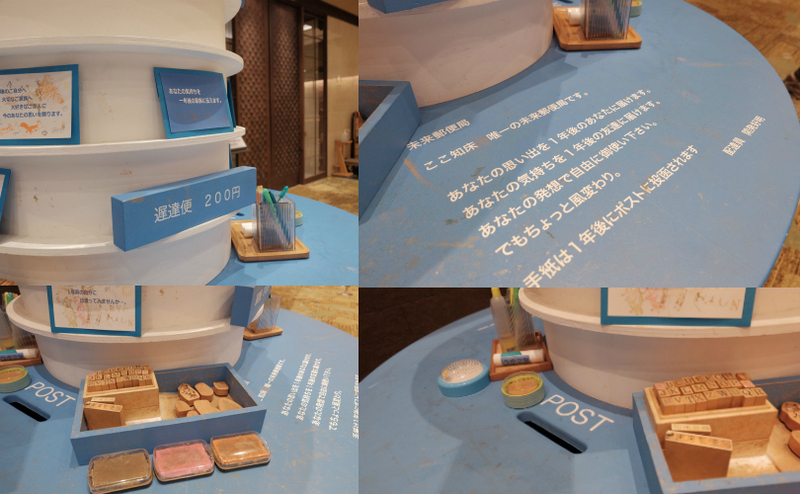 It's the 'FUTURE MAILBOX' you can write anything you want in a letter then it will only deliver to you a year after! aaaa!! Good idea to write a little travel note for yourself and you will receive a year after now! This is my room! Yeah, each person one room! This yukata is diff from the first stay and I guess each of the hot spring actually create it own yukata! Each time you enter the dining area they will pass you a card like this and it's two sided. If you are still having / eating your dinner then place the yellow side on top of your table and once you done your dinner just turn it for the blue one so they will immediately clean the table for you! So good! Other than the first lake 'Onneto' that I visited during the 3rd day of my trip, this is another lake that looks like our phone's wallpaper. Picturesque view right in front of my eyes! No word can describe how pretty it is until you come here and witness it at your own. 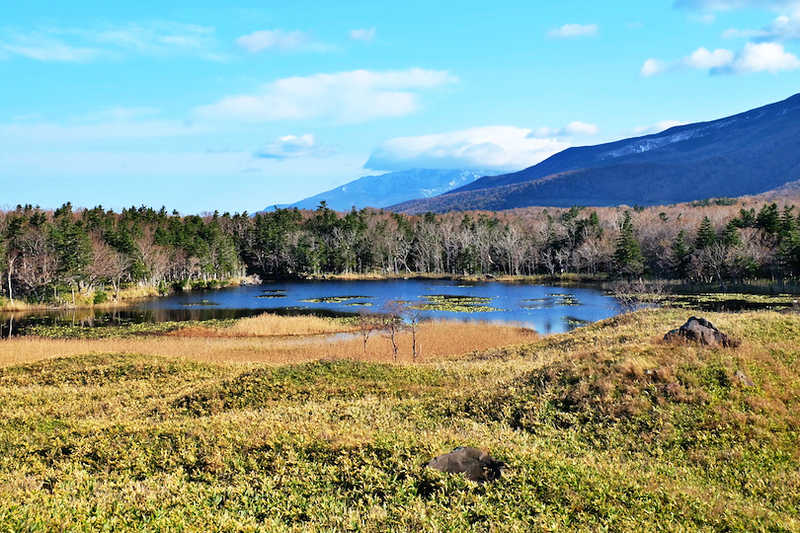 It's called as Shiretoko Goko Lakes! 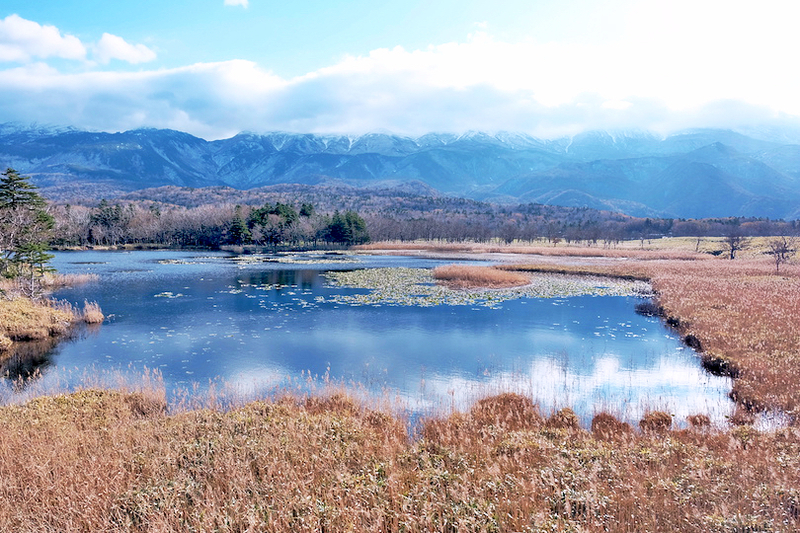 Shiretoko Goko Lakes also known as Shiretoko Five Lakes. It's a set of five small lakes formed long ago by the eruption of nearby Mount Io and fed by underground springs. 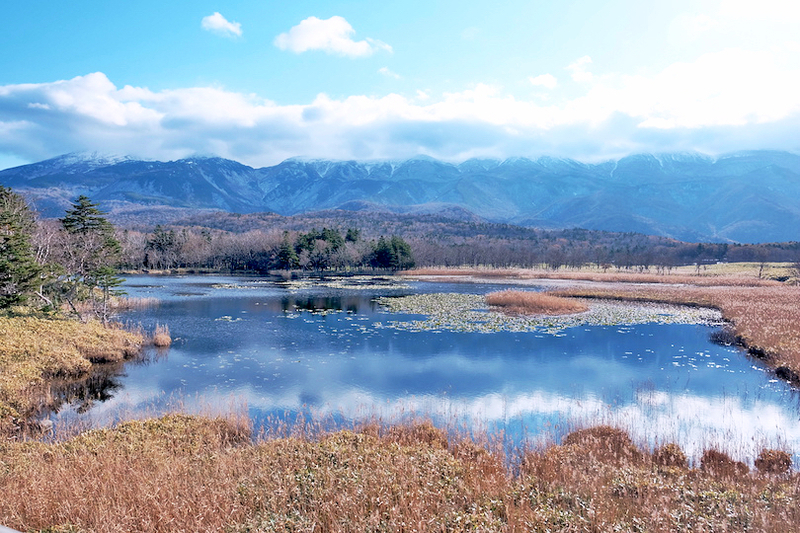 Looking like the result of a god's five fingerprints, the five lakes offer beautiful views of the surrounding mountains and wilderness, and provide visitors an easy way to experience Shiretoko's unspoiled nature. One good thing about this was no tourist at all. Just us!! 5 of us together with Megu-san our Japanese tour guide! OMG!! Is this real? This photo took at the carpark! OMG THAT VIEW!! Are you ready for the adventure?? 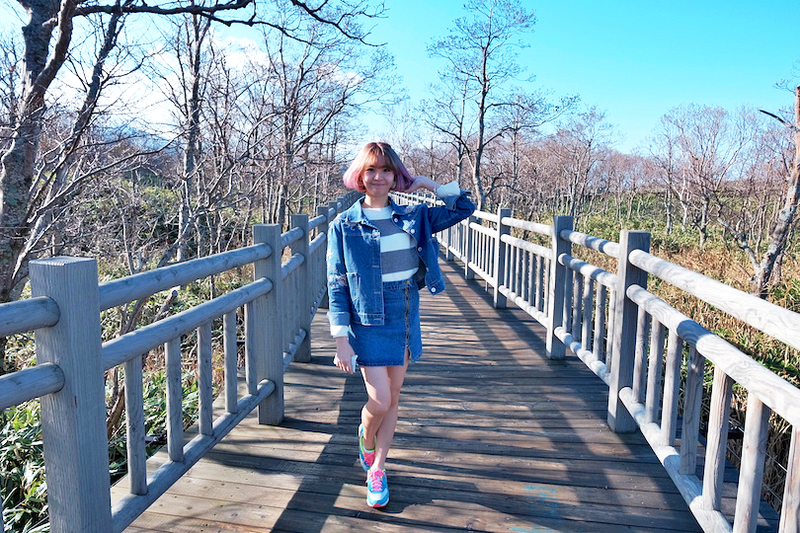 We have to walk for 1.6km with the special elevated boardwalk to have a bird's view of the first lake. We need to walk around the red line! 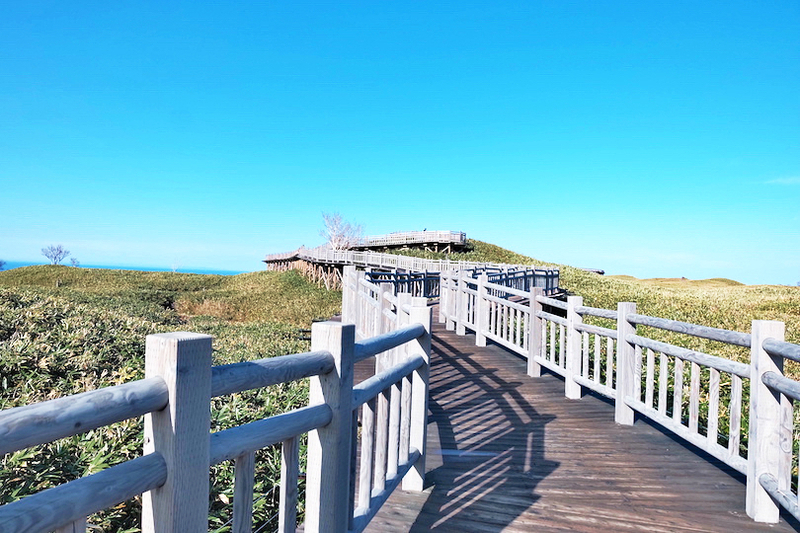 An 800 meter long, wooden elevated boardwalk was recently built from the parking lot to the first lake, which allows visitors to enjoy views of the lake, the Sea of Okhotsk and the surrounding mountains without damaging the fragile ecosystem. 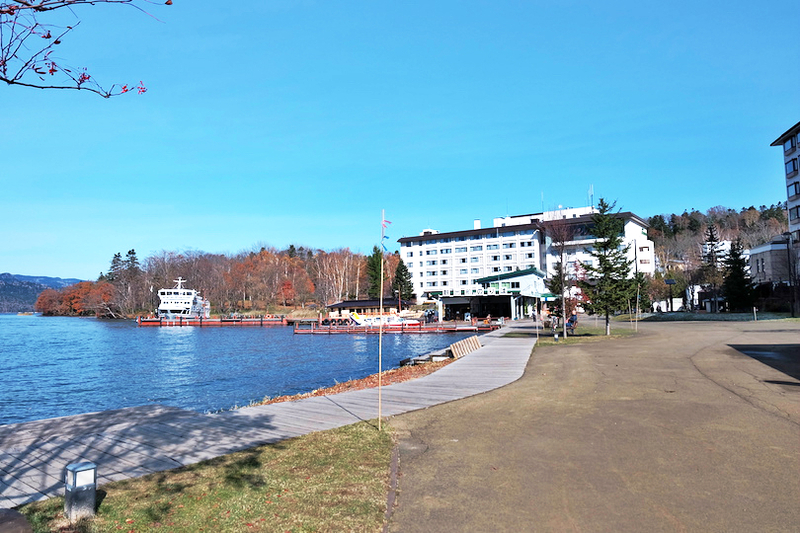 The boardwalk is free to use, wheelchair accessible and open for the entire season (late April to late November). 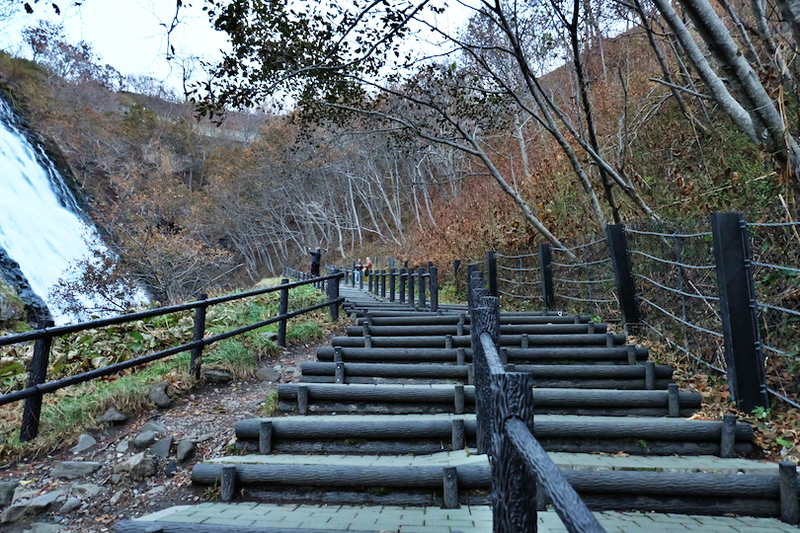 The system for using the trails at the Shiretoko Goko Lakes changed in 2011.The new system lets you walk along the elevated boardwalk that allows anyone to safely enjoy the scenery of Shiretoko's vast nature. 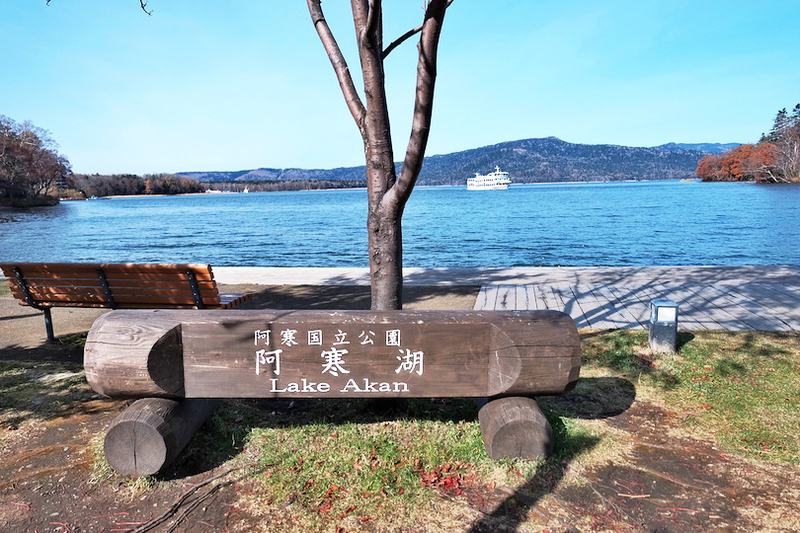 Everything surrounded by native forest.The tranquil surfaces of the lakes reflect the surrounding trees and Shiretoko mountain range, making you feel you are deep inside a primeval paradise where you will also see a wide variety of plants and animals. 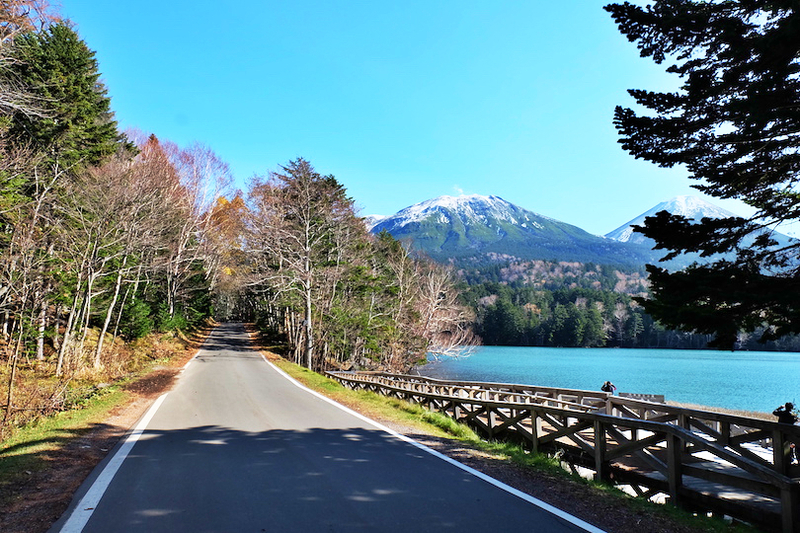 From observatories along the elevated boardwalk you will see vast panoramas of the First Lake and the Shiretoko mountain range. 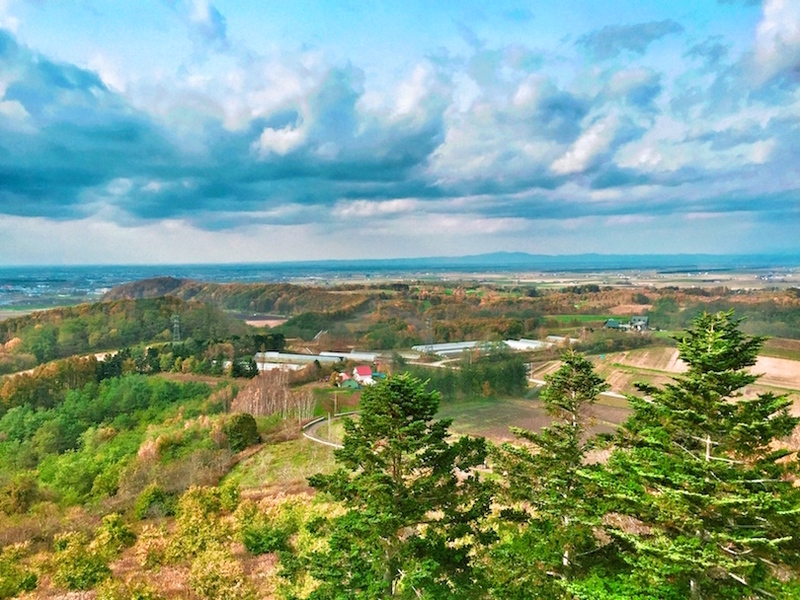 bird's view of the Shiretoko goko lakes! 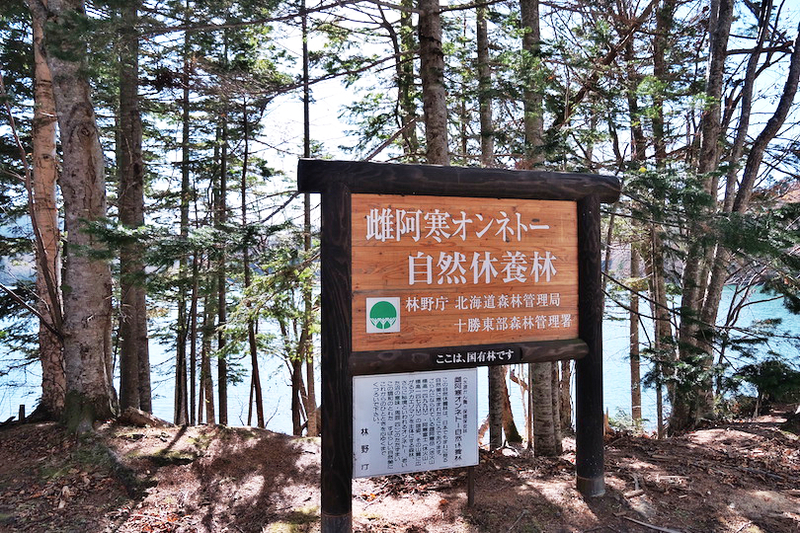 So finally after the 1.6km foot walk.... World Heritage- Shiretoko Goko Lakes. The reflection and everything is just toooooo beautiful. I can't believe my eyes now !!! Look at this!! Please come here if you are planning your Hokkaido trip! SOOOOOOOOO NICE!! It's like a painting but this is how it look like and I didn't apply any filter on this. Just auto mode on my camera. The reflection of the sky on the lakes and everything is just so nice and beautiful! Stunning view! 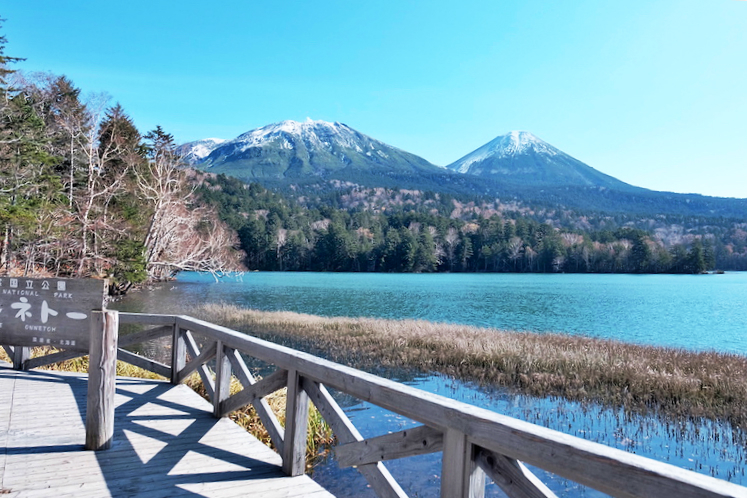 There have been issues at the Shiretoko goko lakes such as encroachment on vegetation due to crowds and the danger of bears appearing, frequently causing the trails to be closed to visitors. 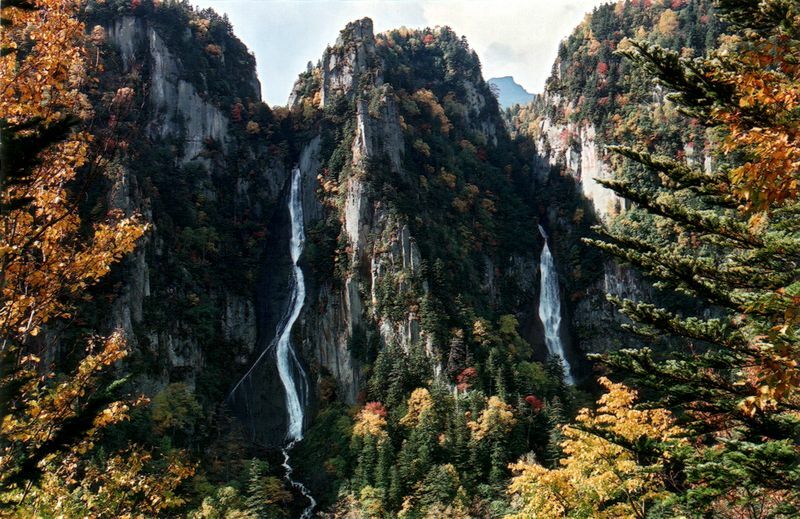 But if you are lucky, you can spot wild bear and deer from your observation desk. The map of wild life around the lakes. The best crab meat rice that I ever had in Japan. Yes! Best!!!! That's why it should contribute a part in this post! HAHAAH Taste heavenly good! Here's the photo credits to google image. 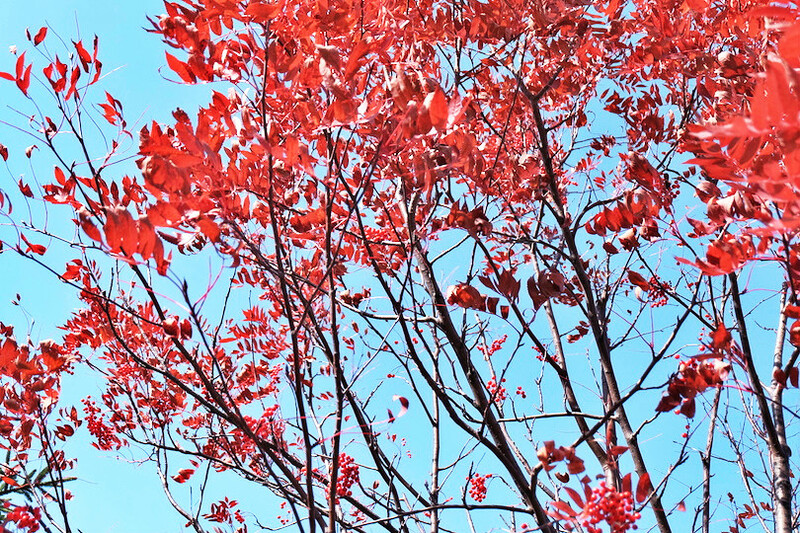 It's so pretty during Autumn and winter! 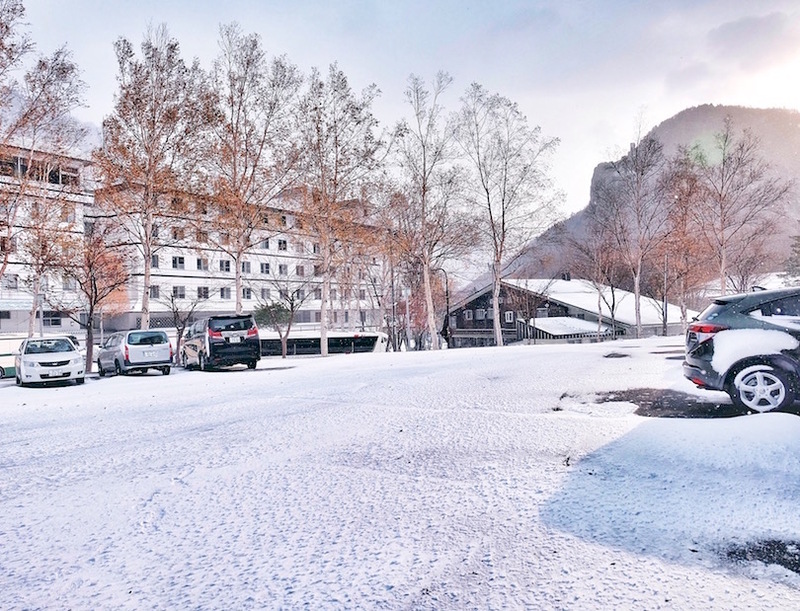 This is our third stay that i took most of my 'snowing' winter photo! 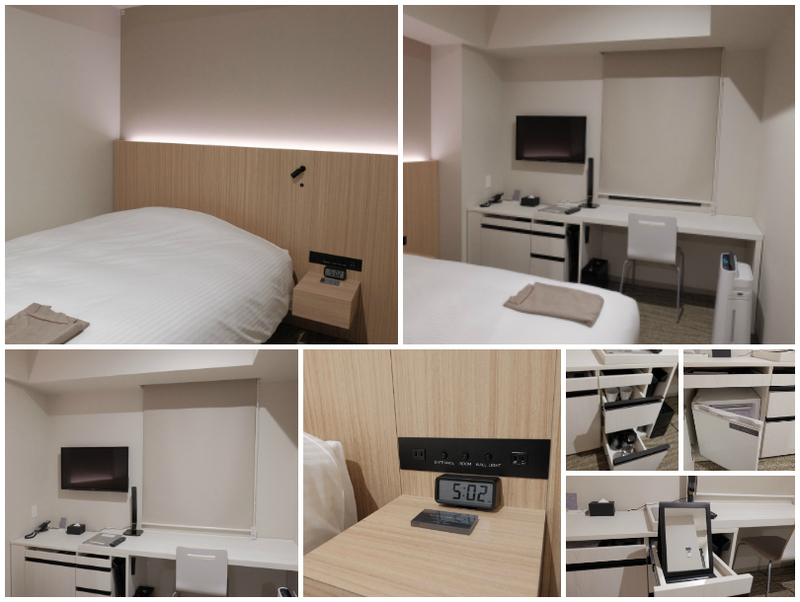 It's more toward Japanese traditional type of hotel room. Another happy dinner time with traditional Japanese cuisine. Just want to highlight this ice is real and the sashimi is SOOOOOO FRESH and sweet! omg i miss this! This yukata has a bright red ribbon! So cute right? 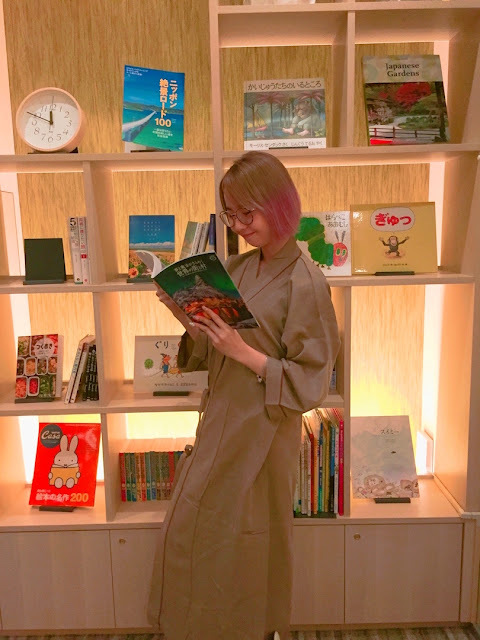 And I find out this corner of my room is nice to pose with the yukata. One of the corner in our hotel. When autumn turns into winter! 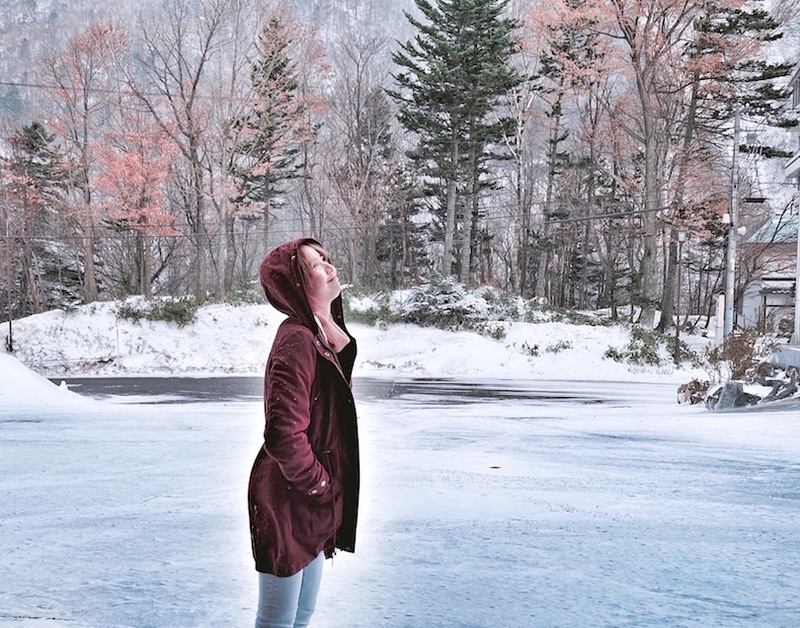 It's about a crazy girl not afraid of cold and trying really hard to take as much photo as she can. HAHAHA Sorry I'm really excited for this! Can you see it's snowing???? No joke this is freaking cold! even my hand can feel the pain! Please don't take off your jacket..the weather is killing man! 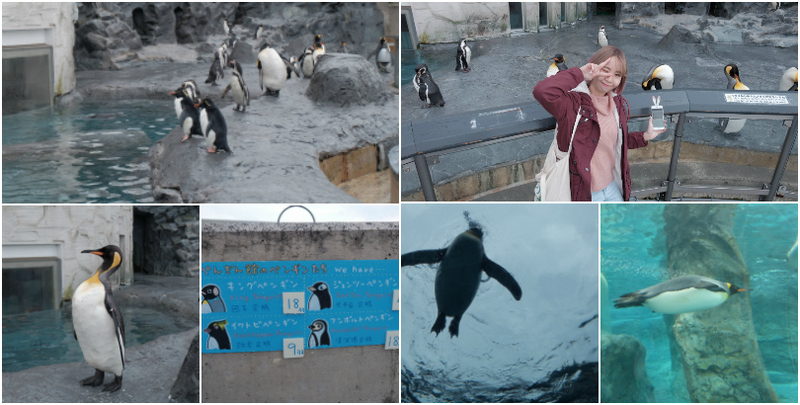 Took too many photo in this Asahiyama Zoo so it worth for a blog post alone but since I'm going to summarise everything in once. So here's some highlight that I wish to share with you. This is my first time going in a Zoo in Japan. In Malaysia, most of the zoo actually put the animals inside a cage and just let us look at it. In Japan, it's totally diff story. 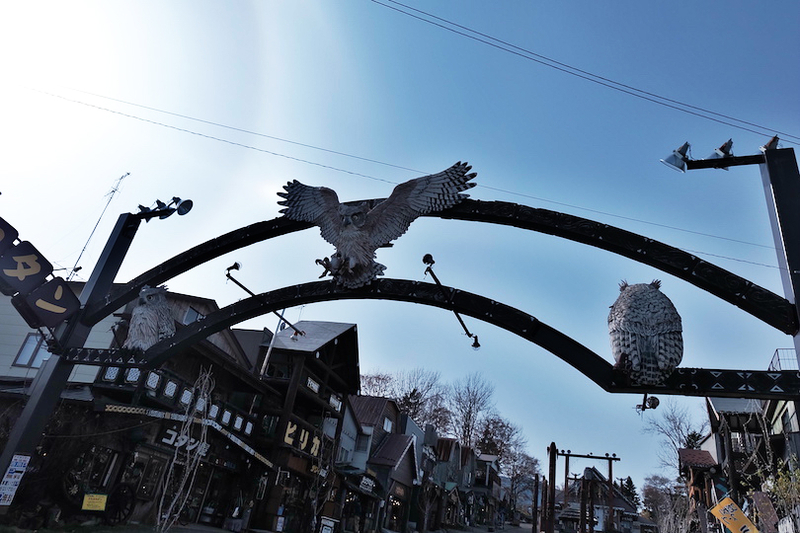 This Asahiyama is a very popular zoological garden just outside of central Asahikawa City in the middle of Hokkaido. 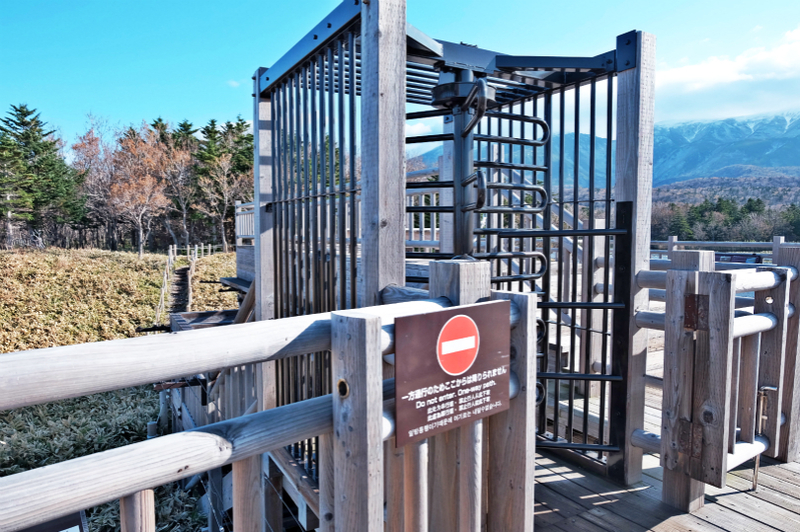 Its popularity lies in the enclosures which allow visitors to observe the animals from various angles, many of which are unique to Asahiyama Zoo. It look like a massive research centre for animals rather than just a Zoo. For example let me show you. This polar bear is one of the 'star' in here. When you look at the photo you will realise photo taken in diff angle and it's all about the 'sea / bottom level view' , eye level and top level view of each animal. 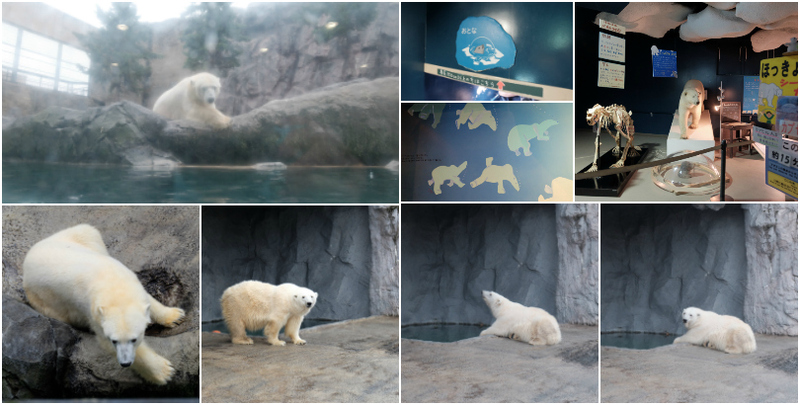 Highlights include a glass tunnel through the penguin pool that allows visitors to observe the birds' underwater flights, and small glass domes in the middle of the polar bear and wolf enclosures that can get visitors right among the animals. The zoo was also one of the first to organize penguin walks in winter. 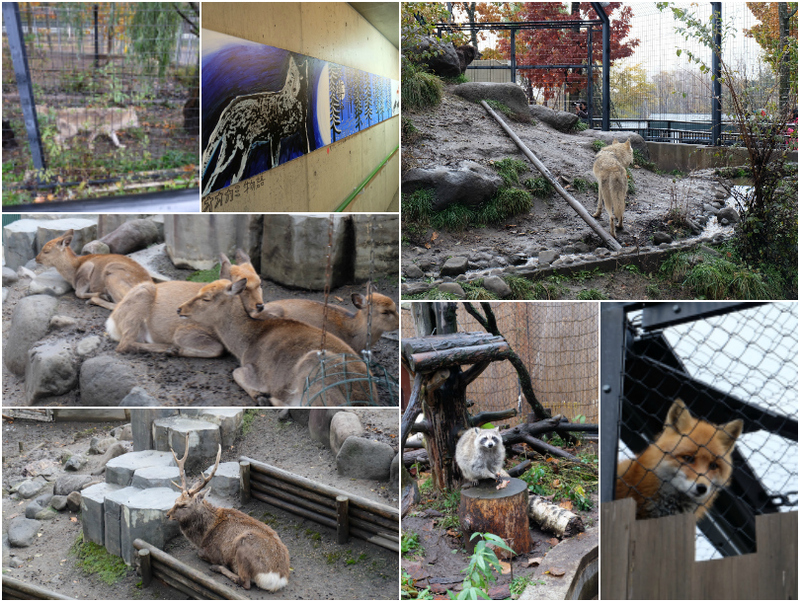 Work on new enclosures and improvements to existing ones is constantly ongoing.Animals on display include native wildlife from Hokkaido, including deer, eagles, cranes and (now extinct) wolves, as well as various animals from across the world, such as polar bears, apes, big cats and giraffes. An underwater glass tunnel lets visitors observe the penguin as they swim through the water. 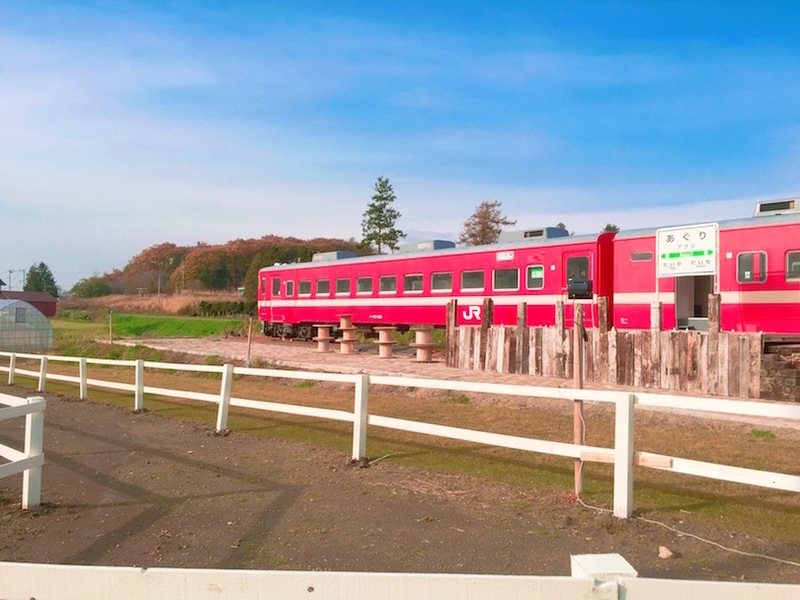 If you are going Hokkaido then this is one of the MUST-VISIT place that strongly recommended by me! Worth for your visit and really amazed and impressed with everything in this Zoo. 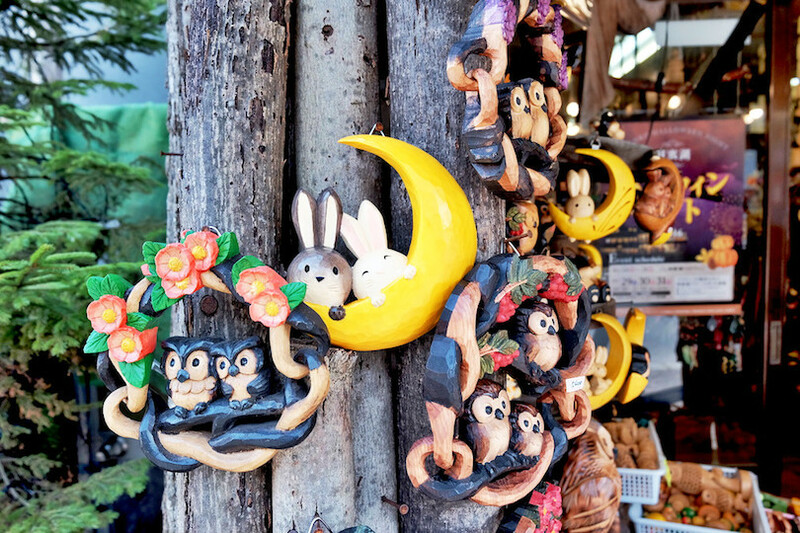 If you coming in spring , summer or beginning of autumn then you can include this in your itinerary. 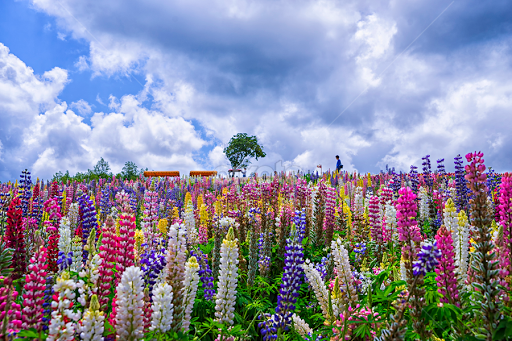 This is also one of the most beautiful & colourful flower garden that I ever seen. Many people come all the way to Hokkaido just for this. Unique flower garden each month and the color also look diff each month too~ It is a paradise of seasonal blossoms from spring through to fall, in which several dozen different species of flowers and grasses flourish. Yes!! It's here but unfortunately most of the plant and flower died due to the snow yesterday and the weather unexpectedly cold since two days ago. Such a waste as I'm really interested about this but i only saw one side which is still nice but the color is so dull. So I brighten the color and added some filter so I can make myself happier now. lol Here's the photo from google-image. OMG WHY I CAME LATE for this T.T !!!! 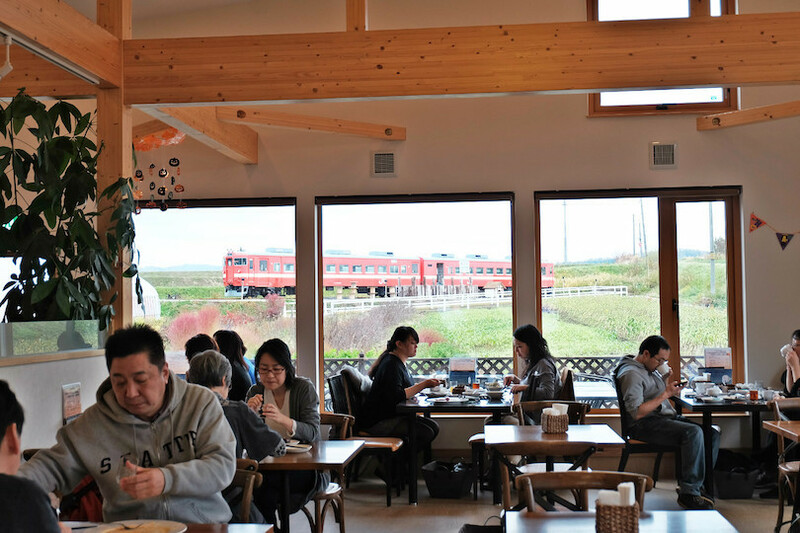 One of the cutest farm restaurant in Hokkaido. Took our lunch here and decided to walk around and realize there are a mini farm around this restaurant with free entrance. Omg Hokkaido horse has shorter leg compare with normal size horse and it's so cute & mini. You can play and feed with all the animals in this farm. 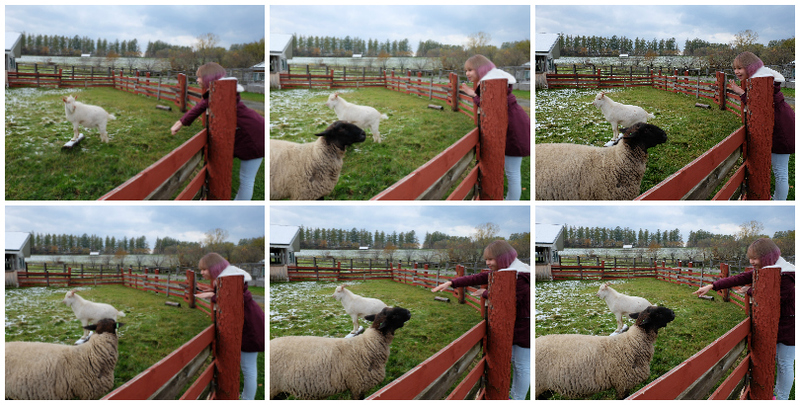 Trying really hard to communicate with the sheep. 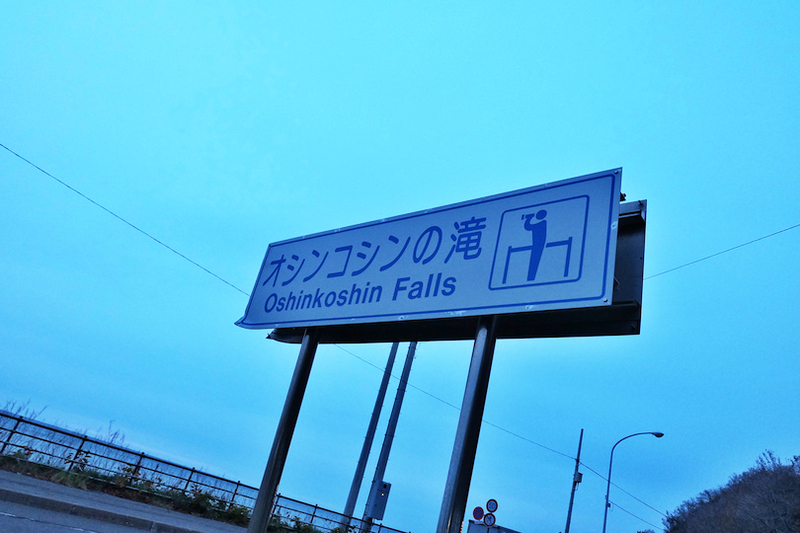 My last stay in Hokkaido. After all the sightseeing in eastern hokkaido it's time to back to Sapporo which is one of the most happening city in Hokkaido. Left 3 day in Hokkaido :'( So this is our last stay and it's just open. Very very new!! 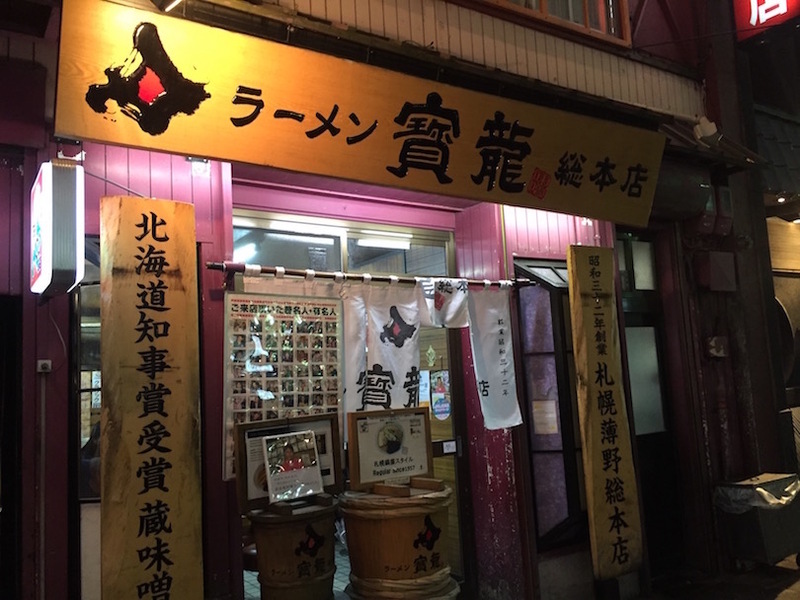 It's like those Tokyo Inn that I tried when I'm in Tokyo. Quite small and just for solo traveller or max two person each room. Very modern interior design. Even it's so small but the room has everything you need!! 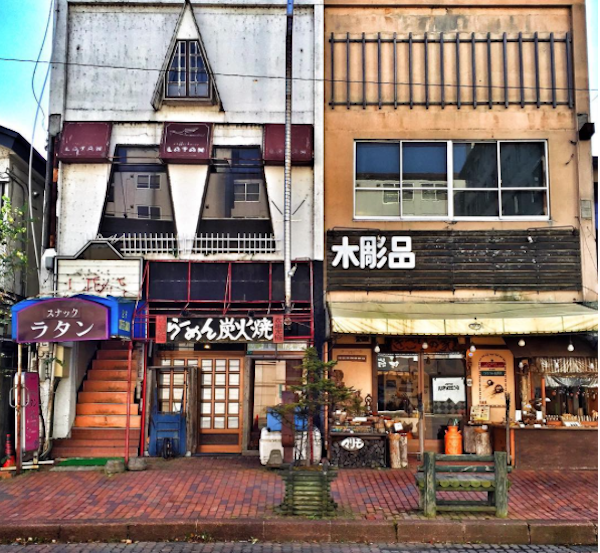 Like tokyo , all the main city has smaller space. I love this kind of stay because it makes me feel so cozy and comfortable. So happy that I get to stay here during the last few day of my trip! I also turn on the TV show and laughing at myself when I saw myself appear on the famous Hokkaido TV show! Taken with my olympus omd em10 & fish eye lens! Everything written in English! 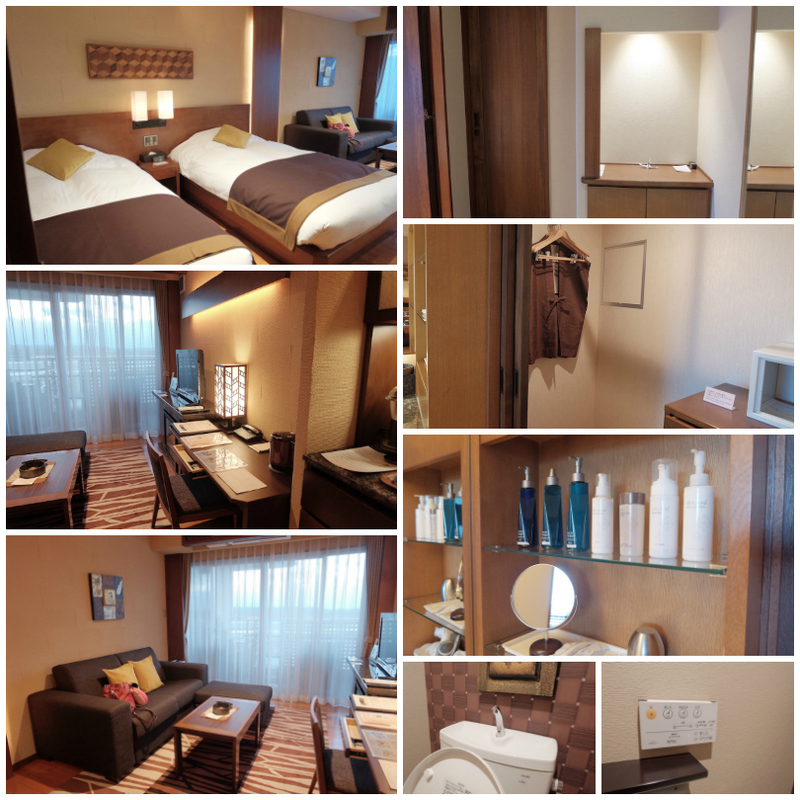 Recommend this if you wish to get a comfortable and nice stay in Sapporo, Hokkaido. Library / Public Lounge on the lowest floor of this JR INN. 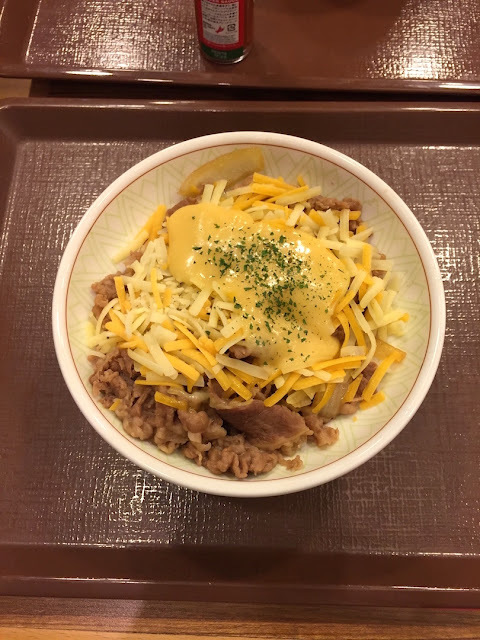 Tips for Malay friend if you need to find a Halal place in Sapporo, Hokkaido. It's muslim friendly because our translator Wan San is Muslim too. 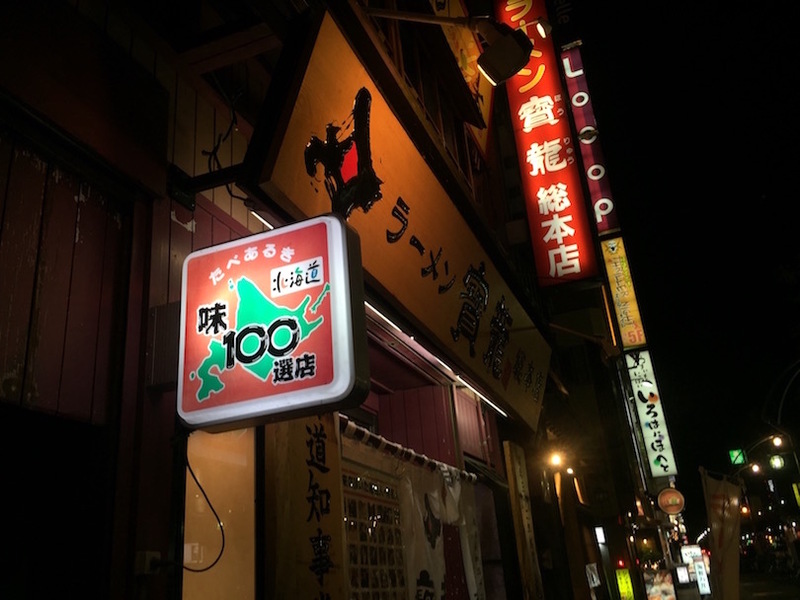 So he brought us here to have our dinner together and can't believe this famous hokkaido ramen shop is muslim friendly restaurant. 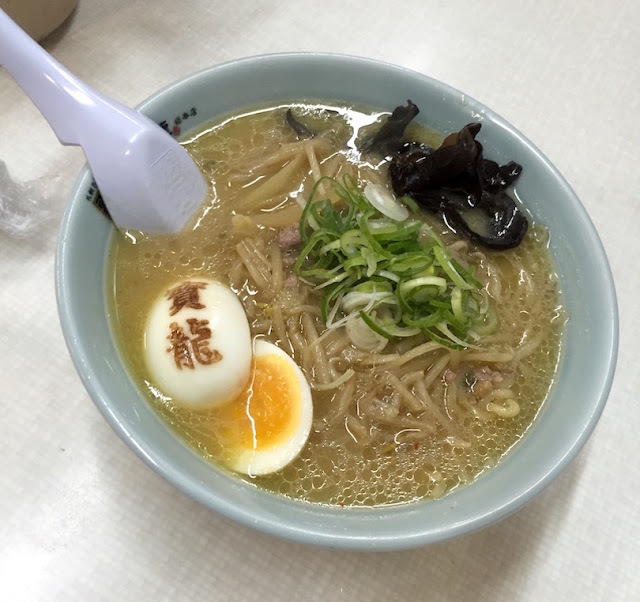 Bring your muslim friend to try this ramen!! It's Halal!! This is really interesting and I never thought I could make a visit to this Kabat Museum. 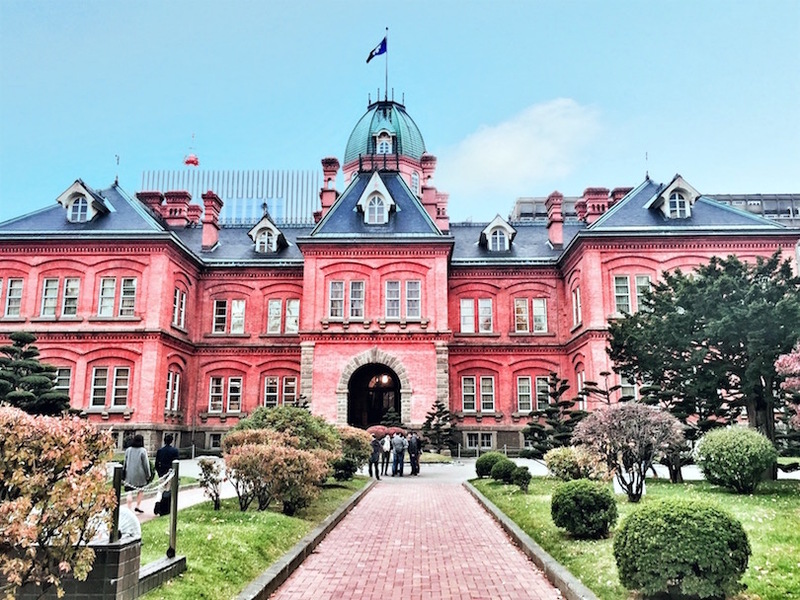 Basically in 1874, it was built as a collector (felony) of felonies, political prisoners, philosophers and now a part of the building remains at that time as a museum. 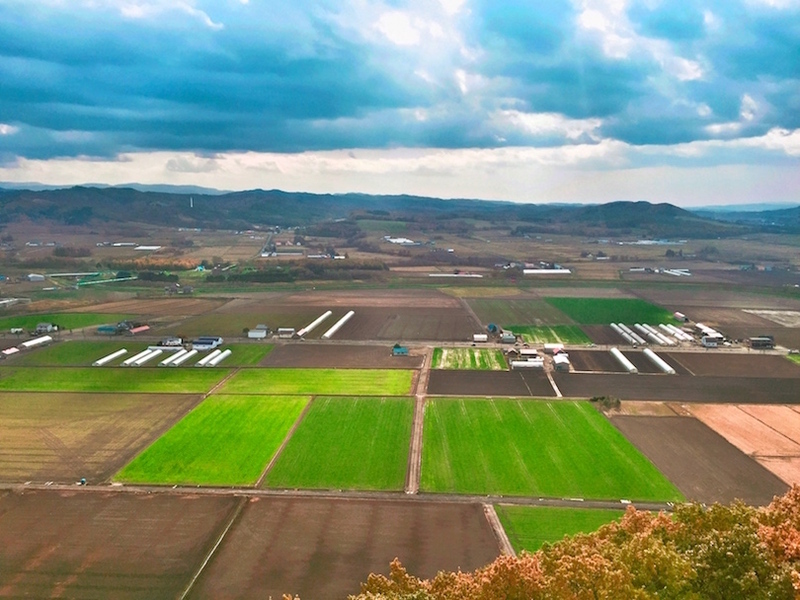 It's also known as the "Fundamentals of cultivation in Hokkaido". 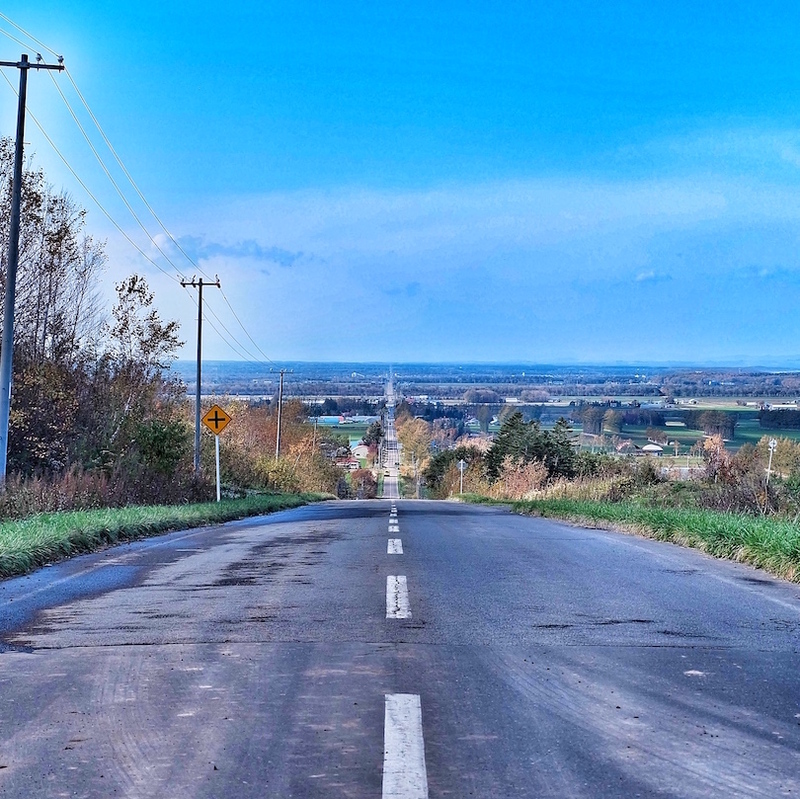 Wan san told us that one of the main road where we use to drive and walk in Hokkaido is actually build by the felonies. How they build the main road of Hokkaido in the past. Another interesting facts! He make his fame by running out from the jail. A very stunning bird's view / top view from here! Let's photo do the talking!! Perfect square and everything just so tidy! 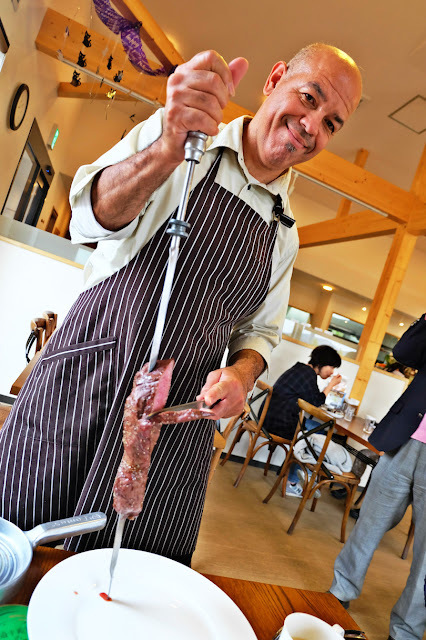 One of the place where you can take nice photo and famous with its beef meat. A restaurant in Iwamizawa Kurisawa town. 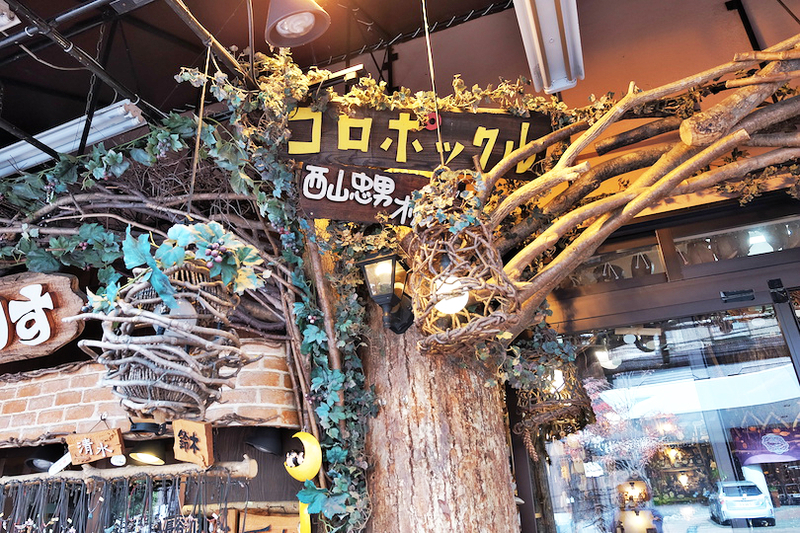 The Japanese name of this restaurant mean "earth of the terrace." 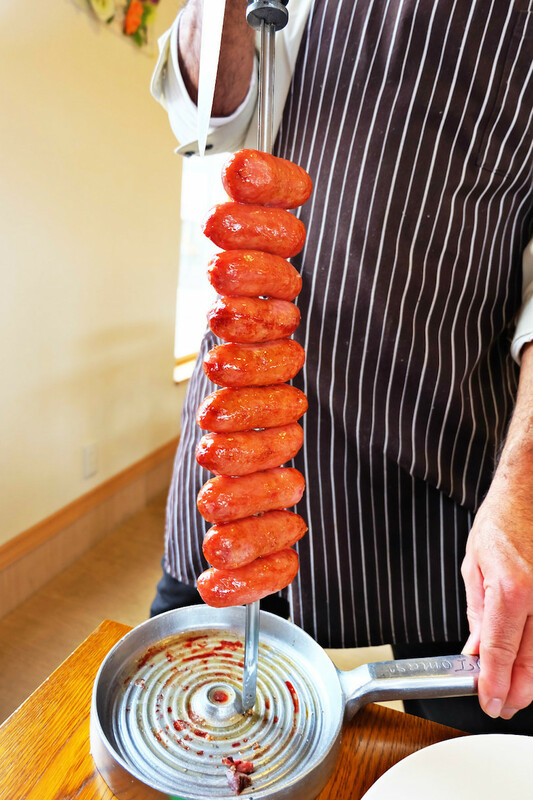 It's a buffet and authentic Brazilian cuisine and it's so impressed that they are using the in-house production rice and nearby fresh vegetables as their ingredient to serve all their customer. Love this little hiding place that recommended by the team. 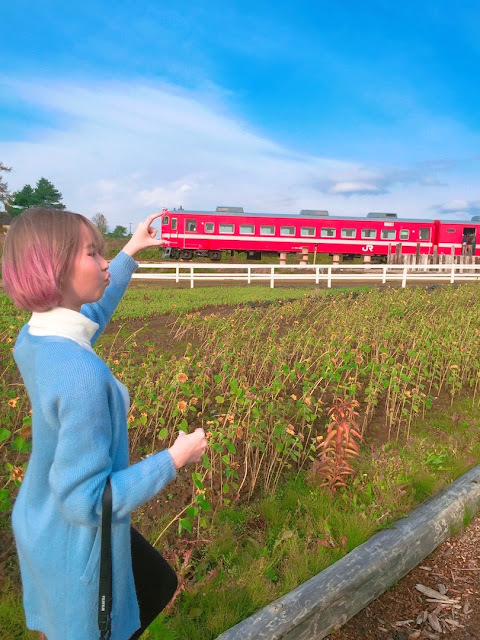 Also, behind this restaurant there is a red train (which I shared earlier) where you can spend some time to take some photos there.Love the sausage and also the freshness of the food here. Going to take photo at the red train once I done my meal! Lol I have no Idea what am I doing here! 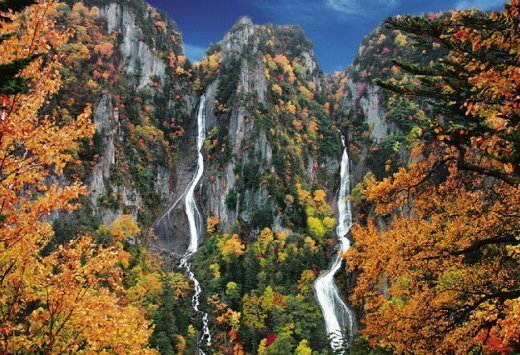 This is a famous spot for all photography lover if you wish to see the beautiful autumn gradient leaves of the golden yellow one. It's so huge and taken so many photos here. 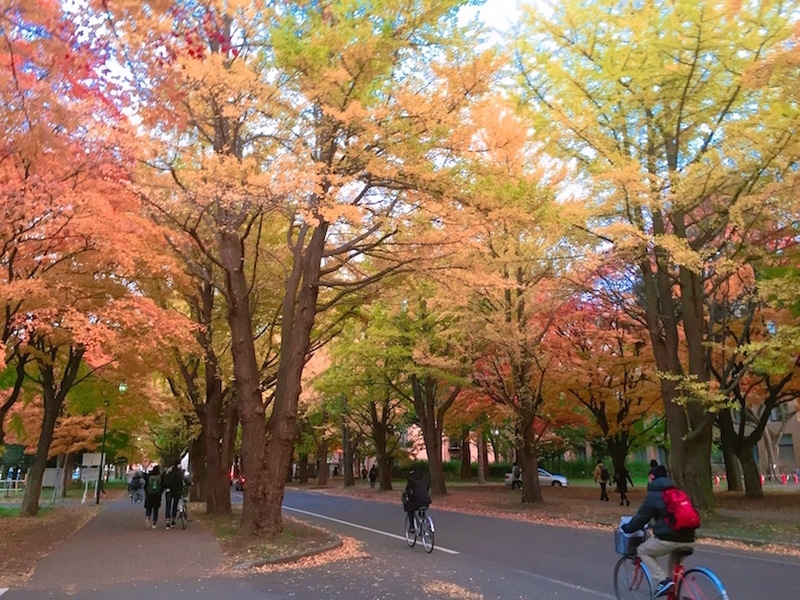 Top rating University in Hokkaido. Very hard to enter this Uni unless you are pretty smart and clever lol. 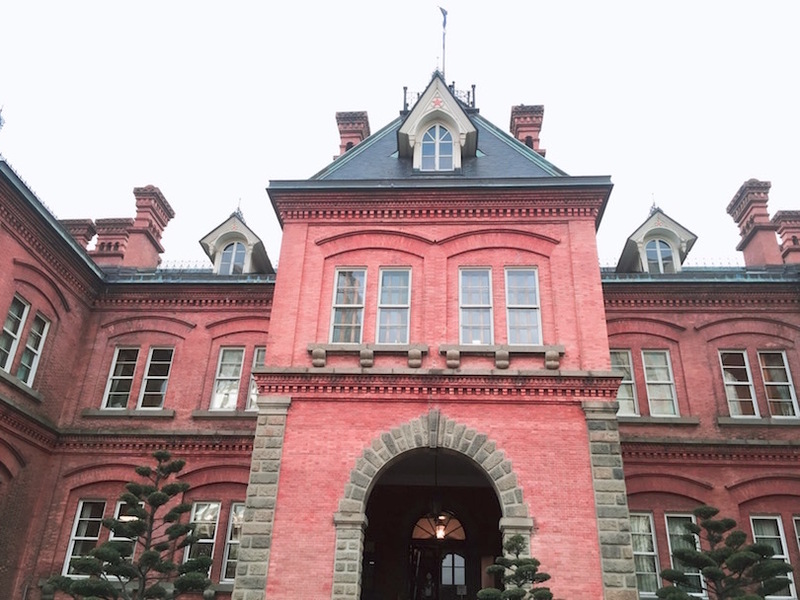 Red brick building is the old government building in Hokkaido. So vintage looking and pretty omg! Ann & Me! Ann is one of the writer from Jalan-Jalan Magazine and we met during this trip. One of the milestone in my life and highlight of this trip. 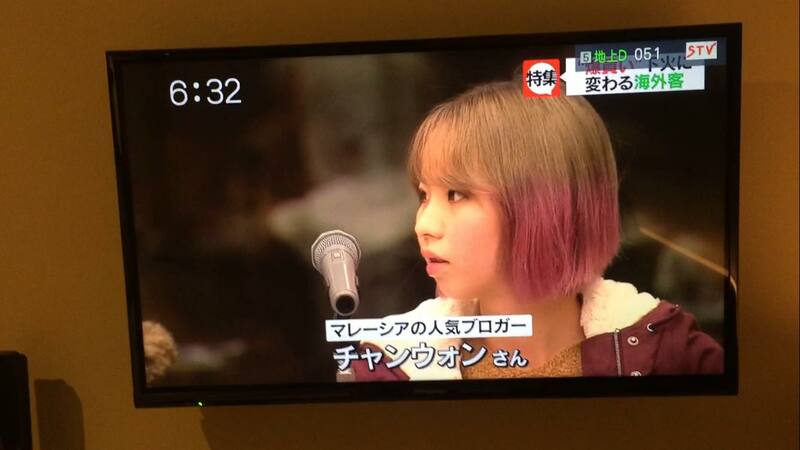 A surprise appearance on Japan famous TV show @ Hokkaido. This is really a unplanned appearance and I only get to know few hour before my flight. This is why I didn't apply much makeup on my face. 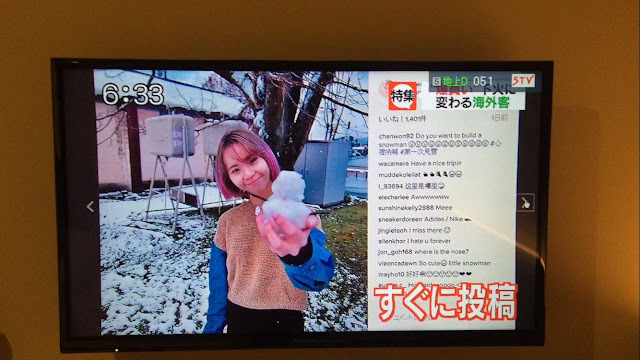 lol It happened right after I safety touched down in the Hokkaido airport lol! 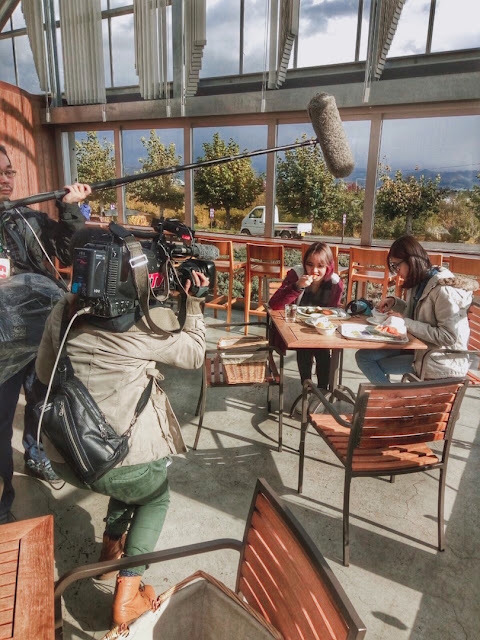 Thanks for the professional TV team from Japan and the person who send me all the way to Hokkaido. Thanks a lot for suggesting my name and it won't happen without your help. Appreciate and will always remember who you are! 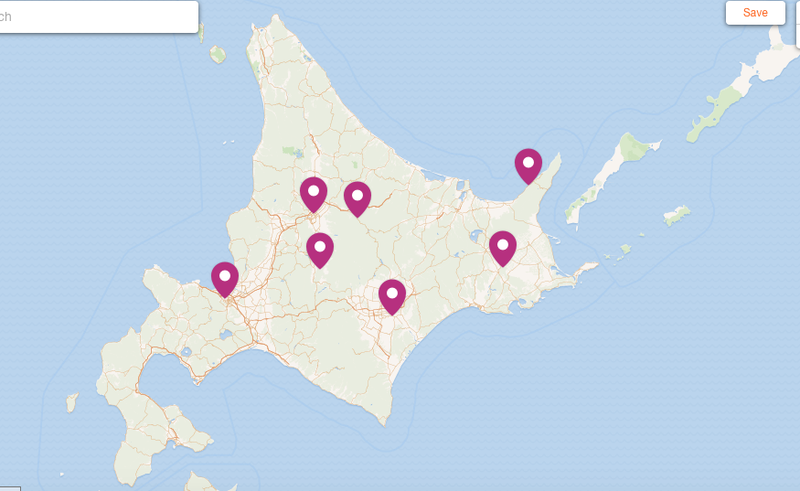 So it's the last night in Hokkaido and it's time to use my brain and find out the Don Quijote with google map! HAHAHAH Since it's not my first time in Japan and we left one day for free & easy activities, I decided to bring and guide Ann to try my favourite food and bring her to get some must-buy souvenir or cosmetic! Yes!! 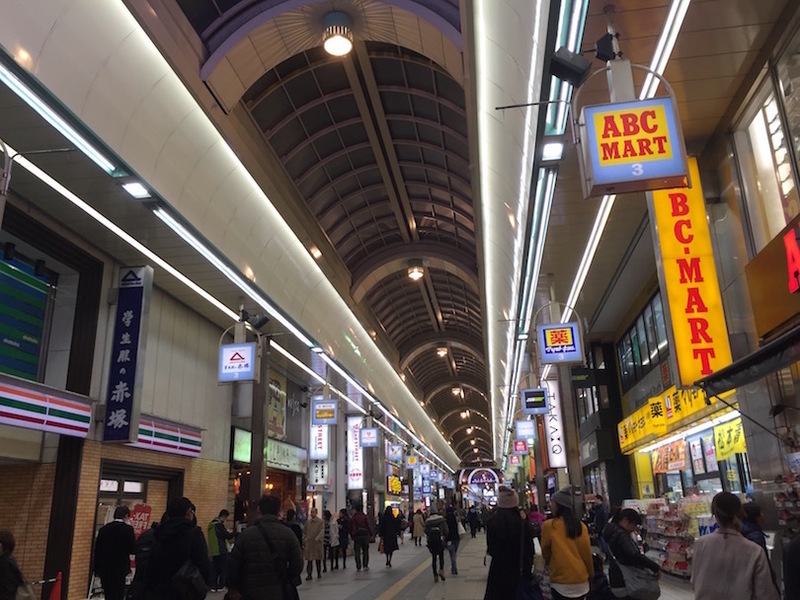 Something like Shinsaibashi in Osaka but this has less fashion clothing items. 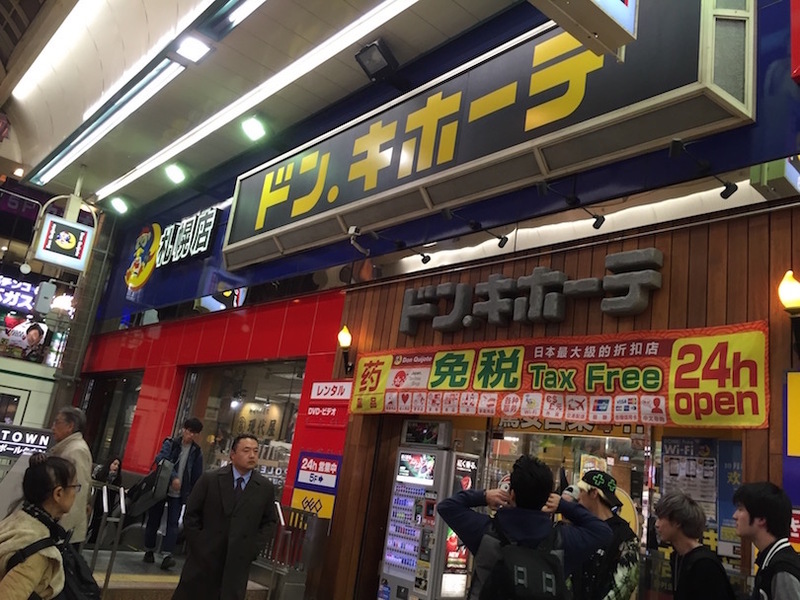 Of course, Chanwon always recommend you to find your nearest Don quijote WHEN you are in Japan!! You will never go wrong with this! 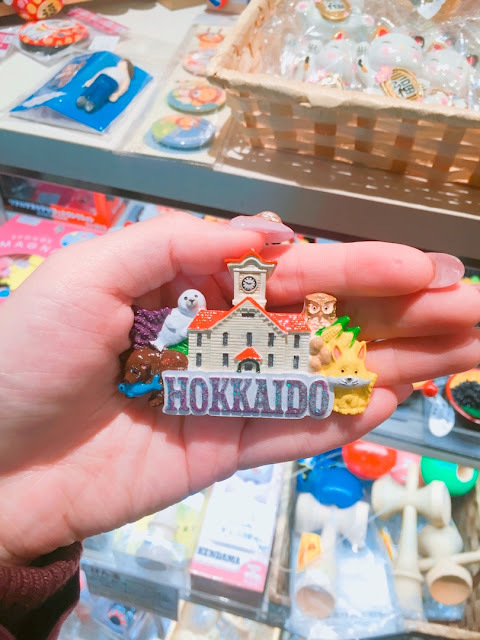 Also bought this Hokkaido Magnet at airport! Going to collect each and place it on my refrigerator. Thanks for all the wonderful memories in Hokkaido. This is the end of my post and I can't believe i could make this so far. Thanks for everyone of you who read my blog, like my photo on my instagram and followed my adventure on my facebook. Thanks the Hokkaido Tourism Department team , Japan TV team, Megu San, Wan San and many of you who taking care of me during this trip. Really happy for this opportunity and see you again next year Hokkaido. Thanks You Japan. Thanks you for all wonderful memories so far. I love this country. Love it to the moon and back. That's all for today. Love, xoxo. See you next year, Hokkaido I will be back! Enjoy reading your blog. 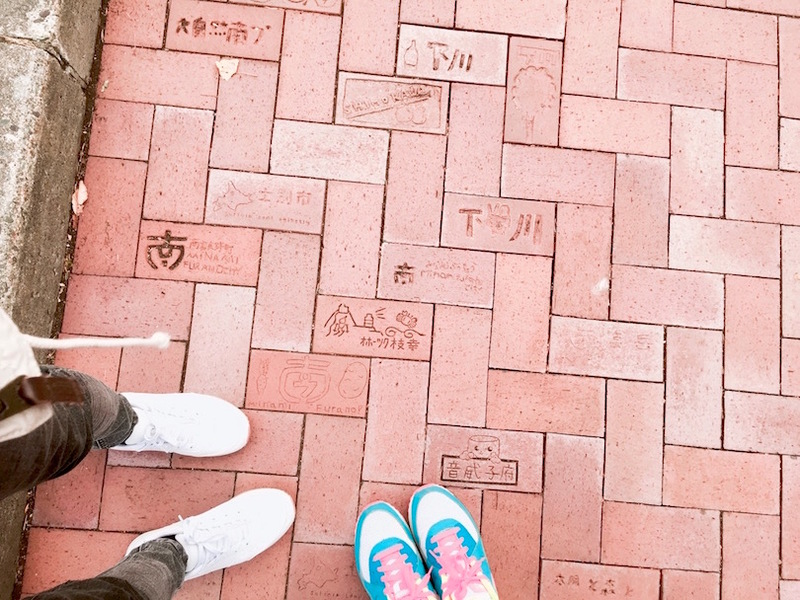 You make me really really really wanna go to hokkaido and see those places with my own eyes. How much is the tour and how do you book the tour (i.e through online, at the airport, etc)? Appreciate feedback. Tnx! It was interesting that I chance upon your posting. I am leaving for Hokkaido in early May to catch up with Sakura in Hakodate on a free and easy tour. 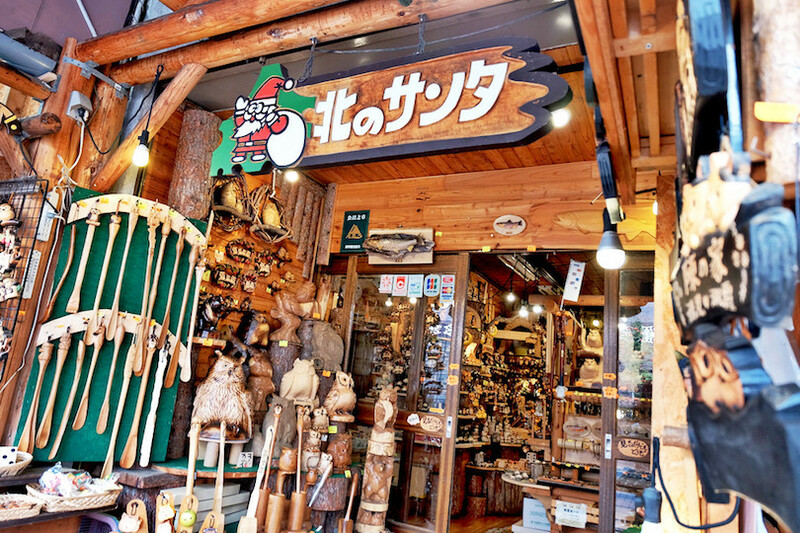 Would you give me your advise on the places in the west worth seeing and is it possible for you to give me any local agent that I can contact on arrival in Hokkaido? Dear, may i know how you book the sight seeing bus? 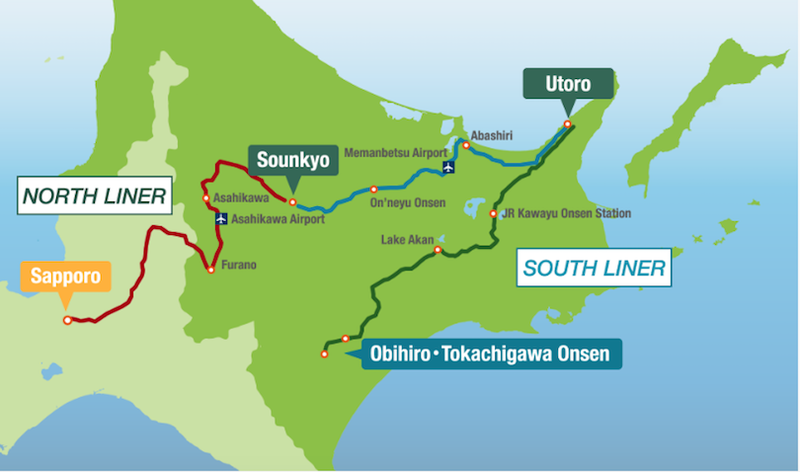 the link http://en.visit-eastern-hokkaido.jp/travel_information/4158/ u attached only come with phone number. should i call them for booking? For the sapporo city in Hokkaido yes. 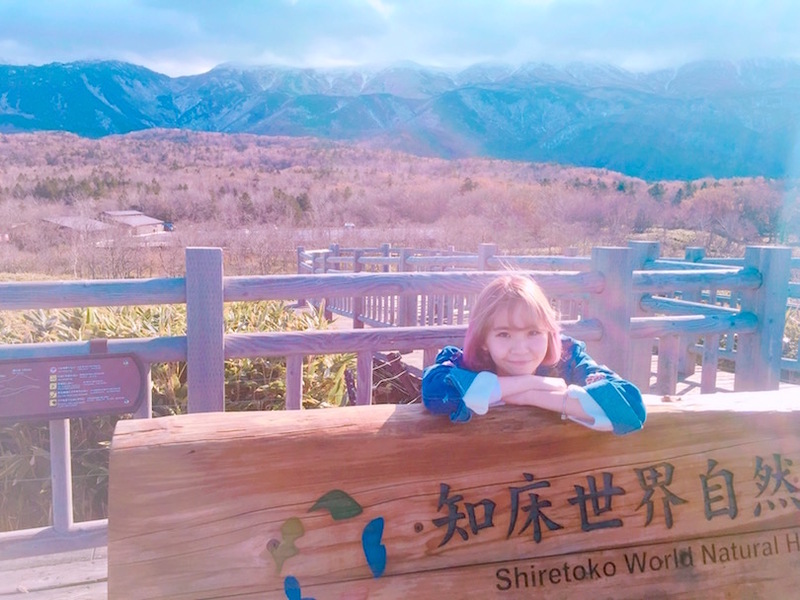 But since hokkaido is really big especially those super far place like going in the middle of forest, up on to the mountain then the coverage might be weak than in the city ya. But so far each time if I'm satisfied with it unless the whole trip I'm spending most of my time outside of the city then I will get the japan sim card at the airport myself. Hi, nice to read your blog. May I know when you reached each destination , did you join the day tour? 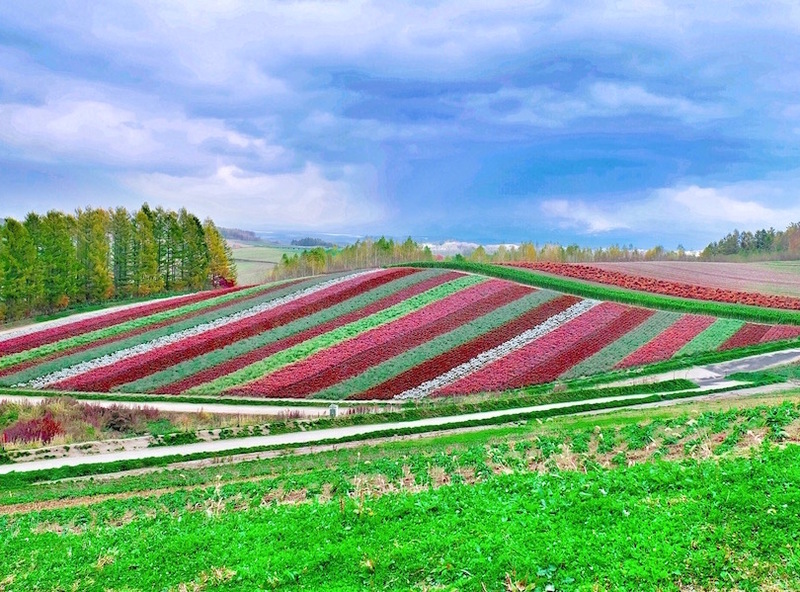 I think that Hokkaido is one of the most beautiful places in the whole world. 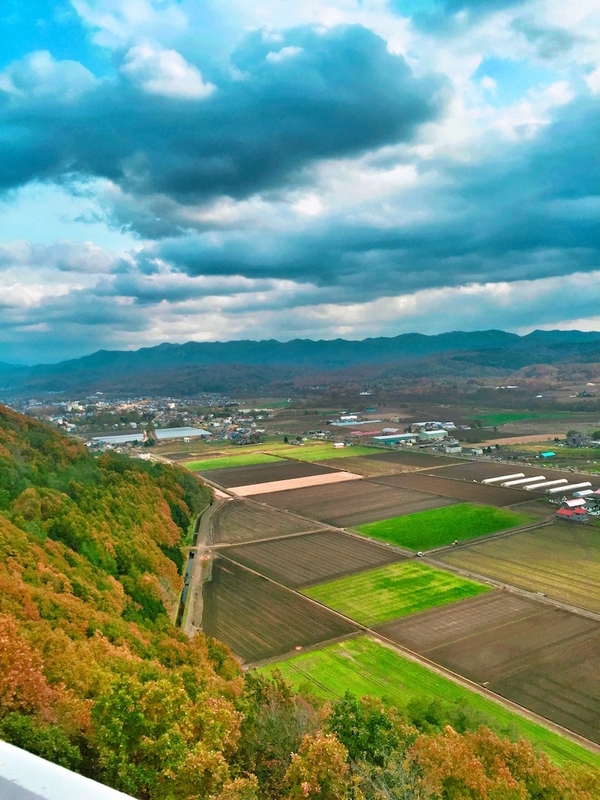 I think Japan itself is beautiful, but Hokkaido is even better. 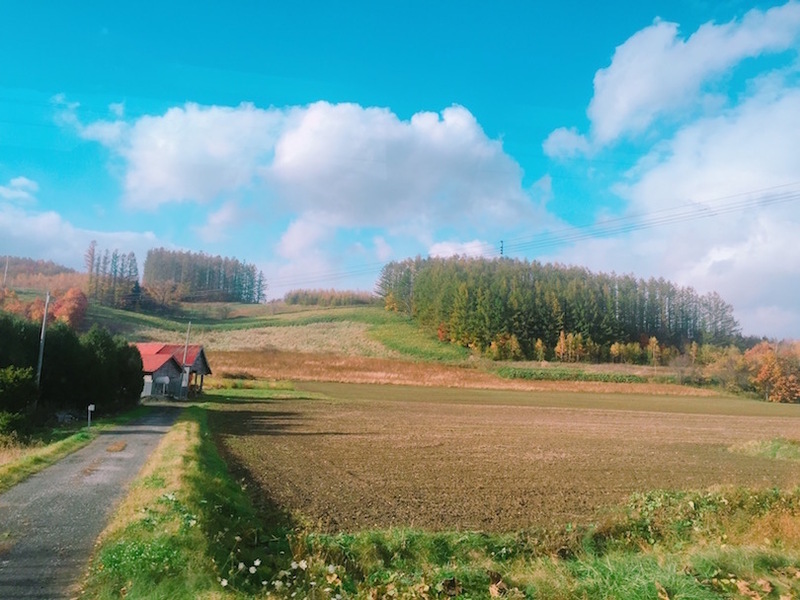 I wrote some of my the best essays about Hokkaido when I was studying in the uni. And I watched, I think, thousands of photos and read tons of touristic information about this place. it's just amazing. Yes, every single thing will be worth it. 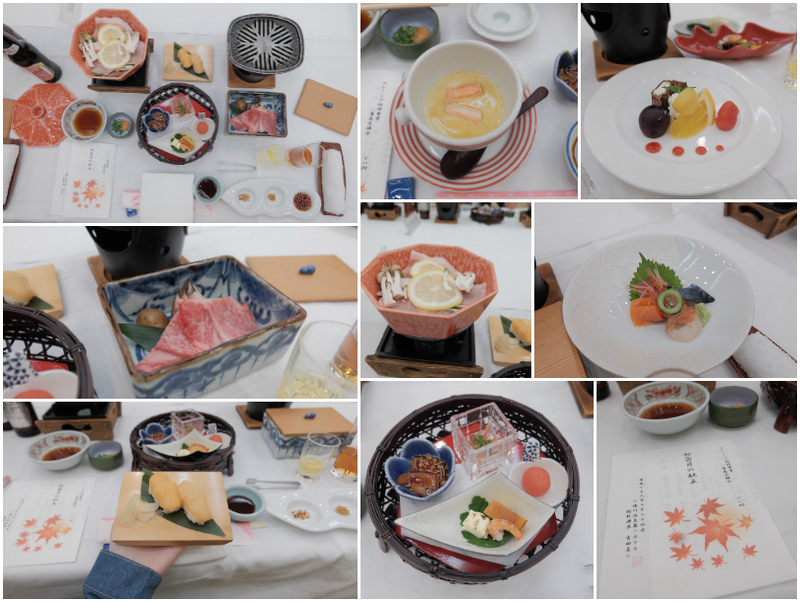 The vege and food in Hokkaido is the freshest and taste the best! 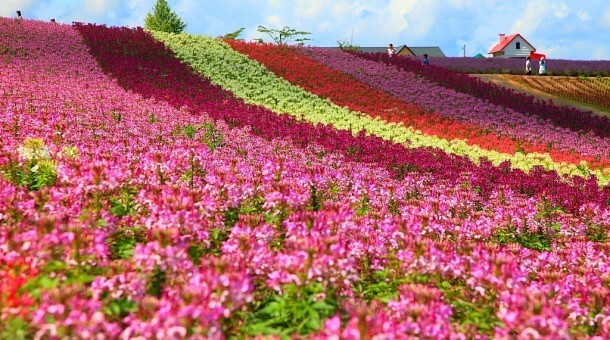 Hi, I would like to ask that if go hokkaido in Spring. Which area is suitable for staying ? And is this itenery suitable in spring also? Because I'm wondering go with tour or self traveling is better. depend on what's place you are heading to. Yes! Hi, thks for ur informative blog. I enjoyed reading it. I am a Muslim and was wondering how you got into contact with your translator Wan San. Thks! Thanks! Your information has helped me a lot as I will be heading to Hokkaido and I want to cover the eastern part too without any hassle. 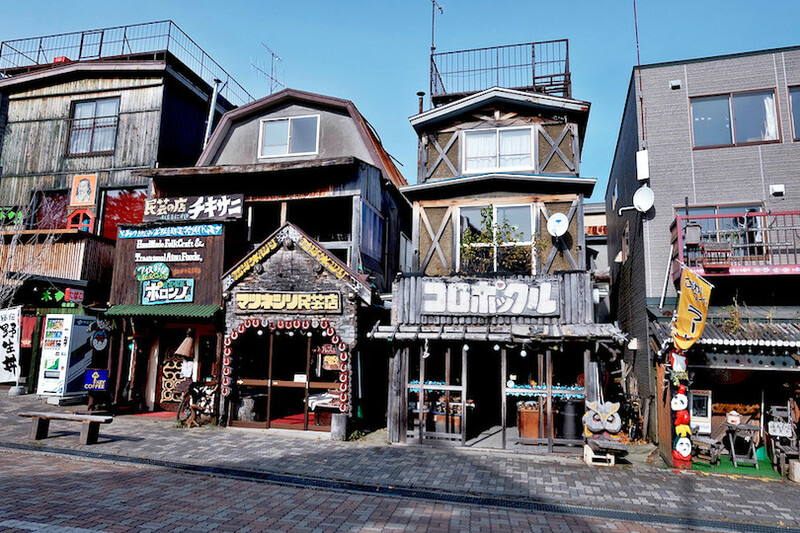 Hi Chanwon, it is regarding the hot spring stay at Tokachigawa, i read it from some webpage that the toilet is separate. Does the room has the toilet itself or shared with others?